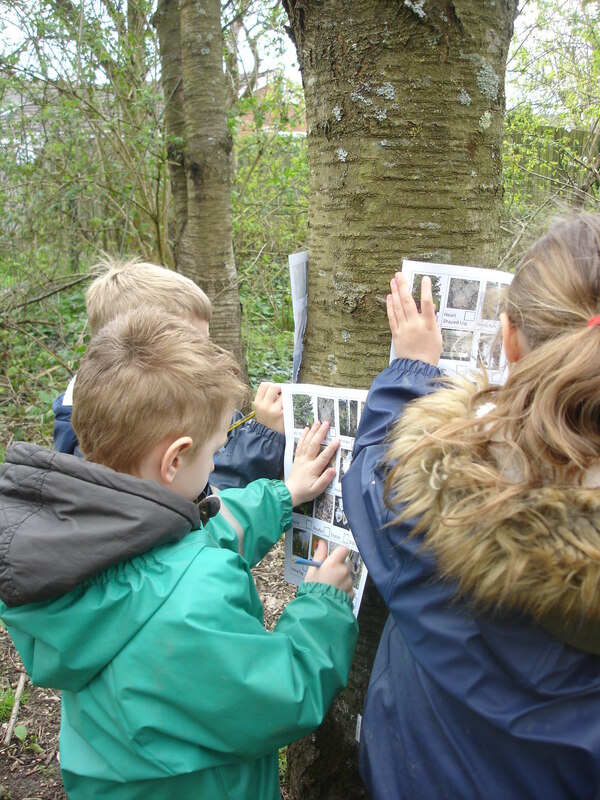 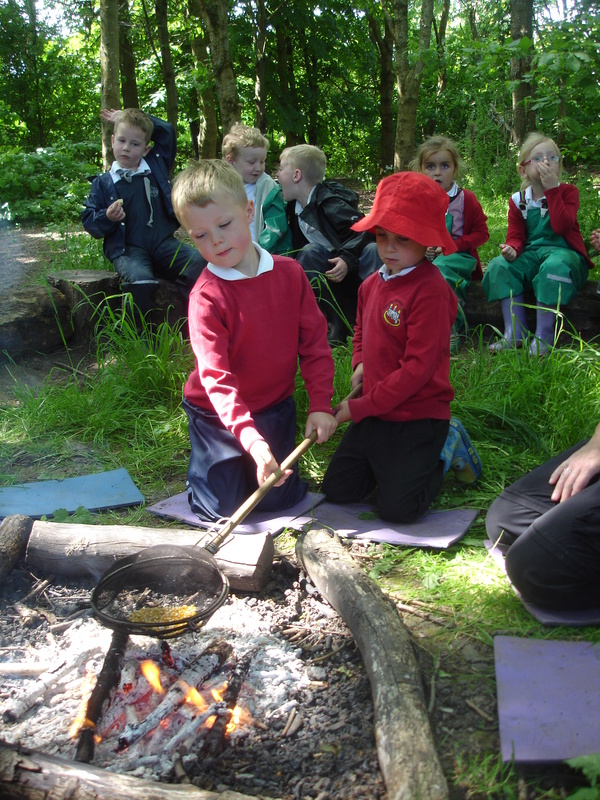 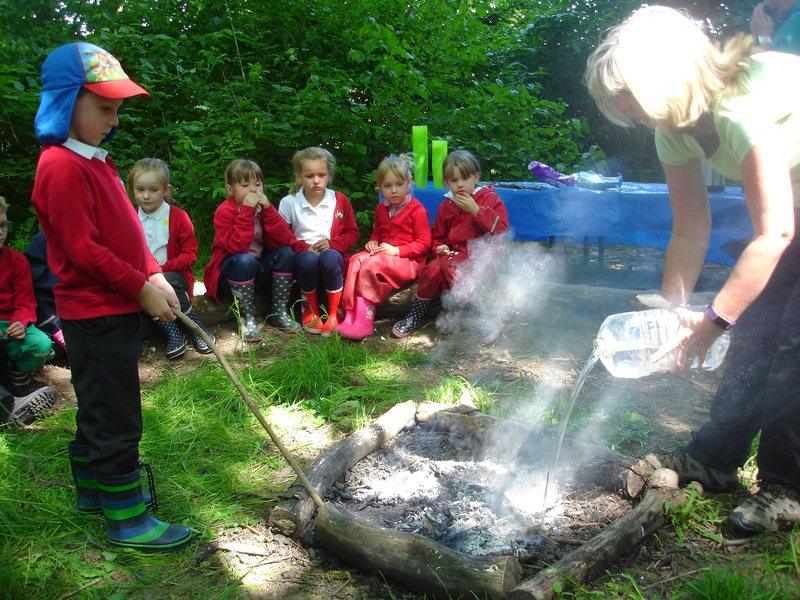 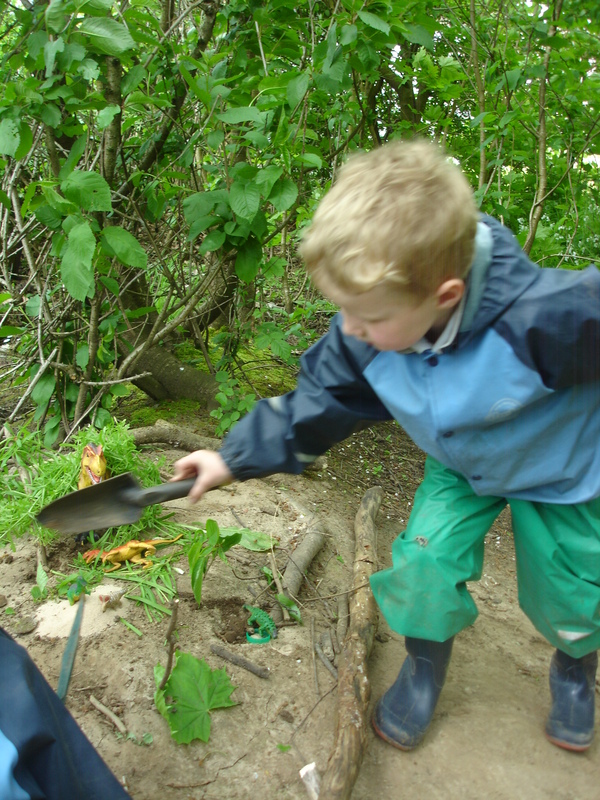 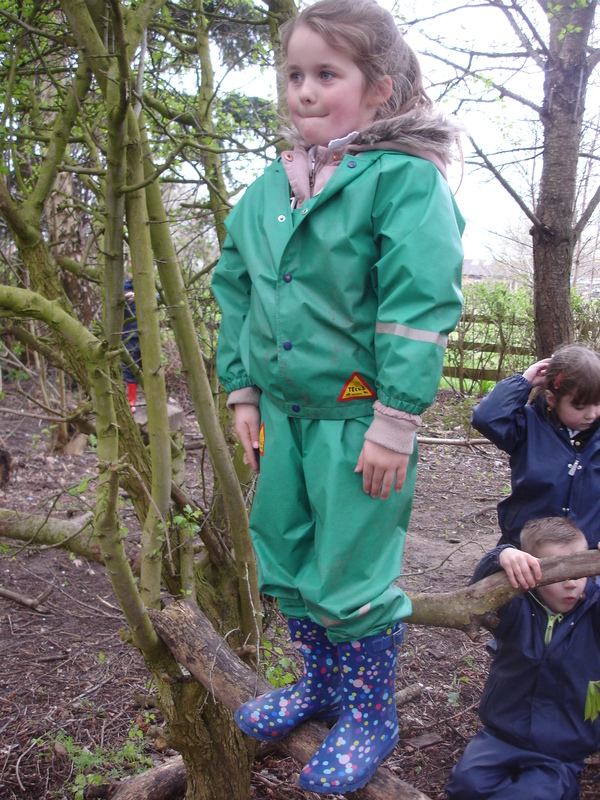 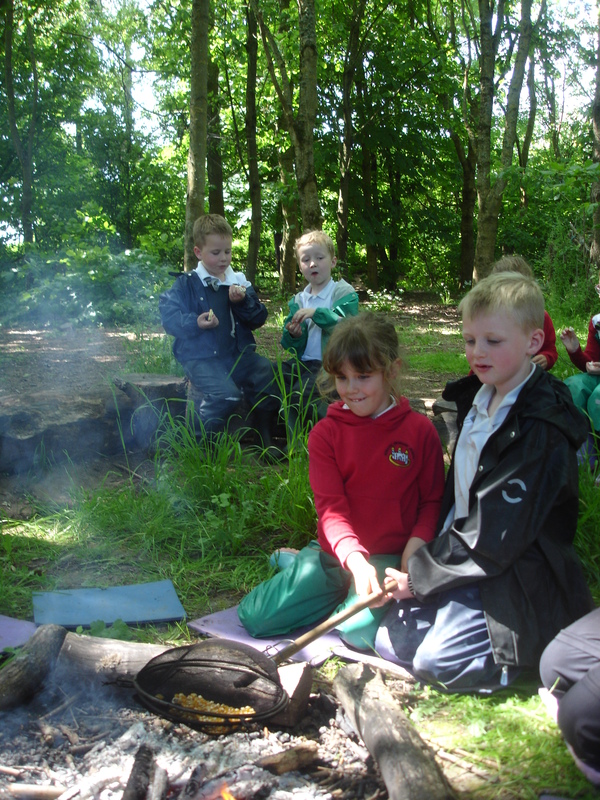 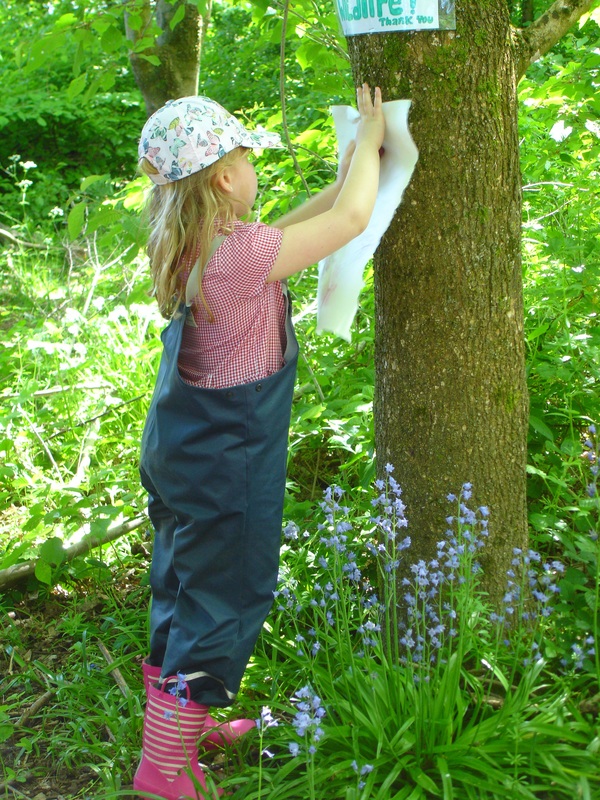 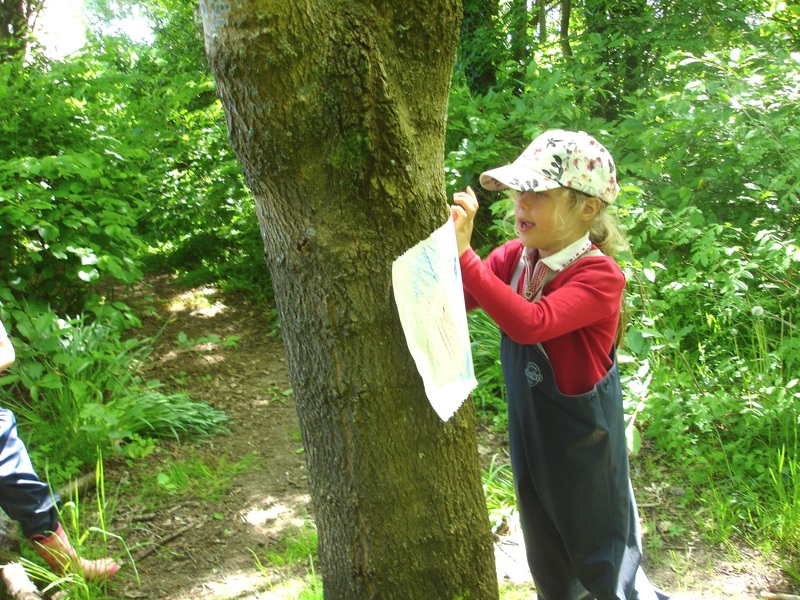 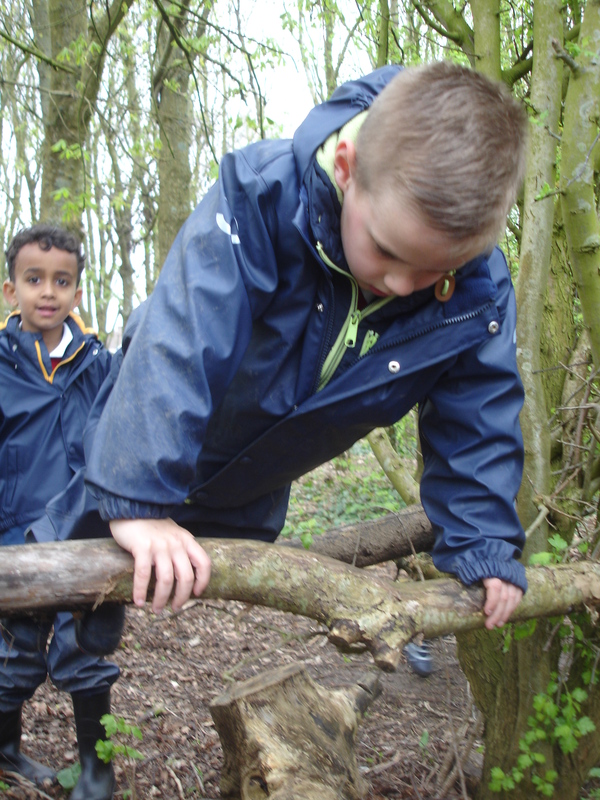 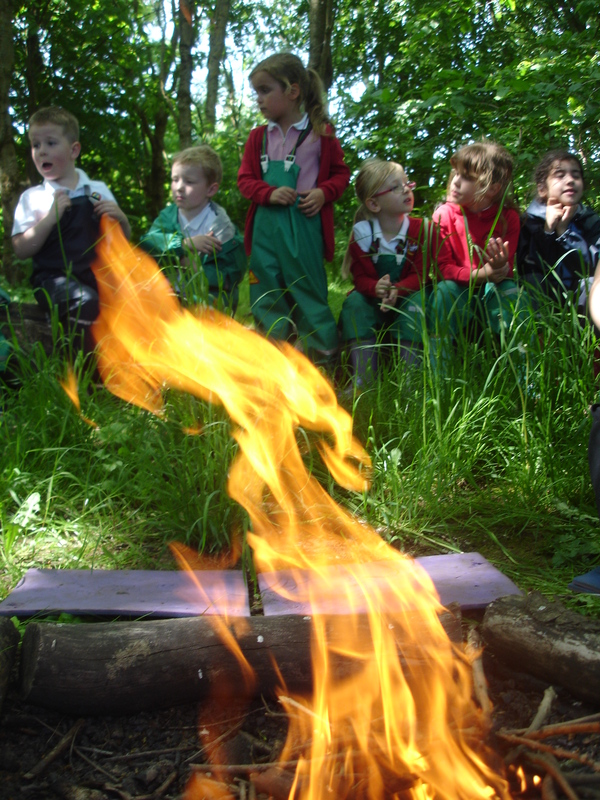 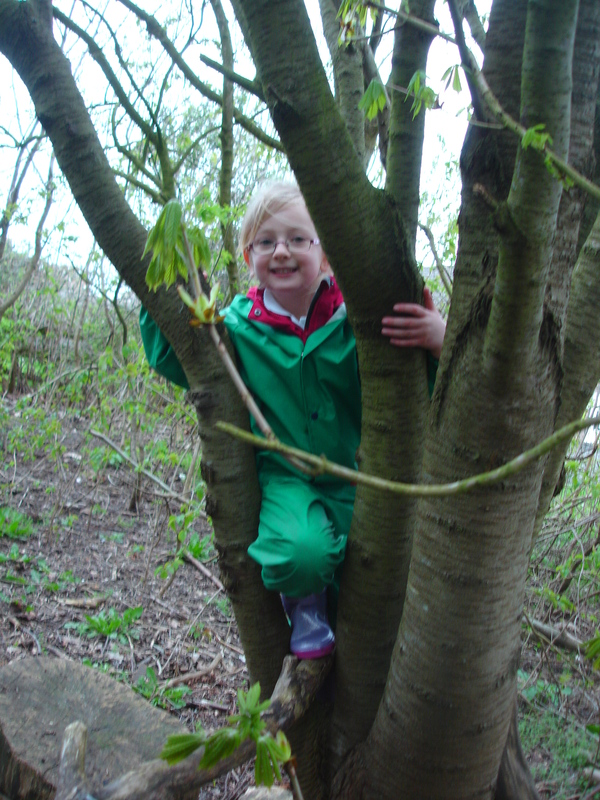 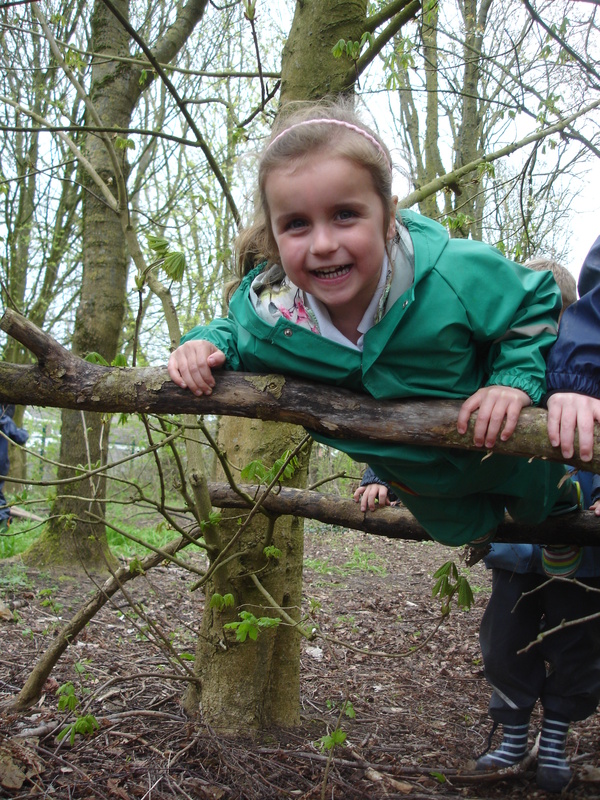 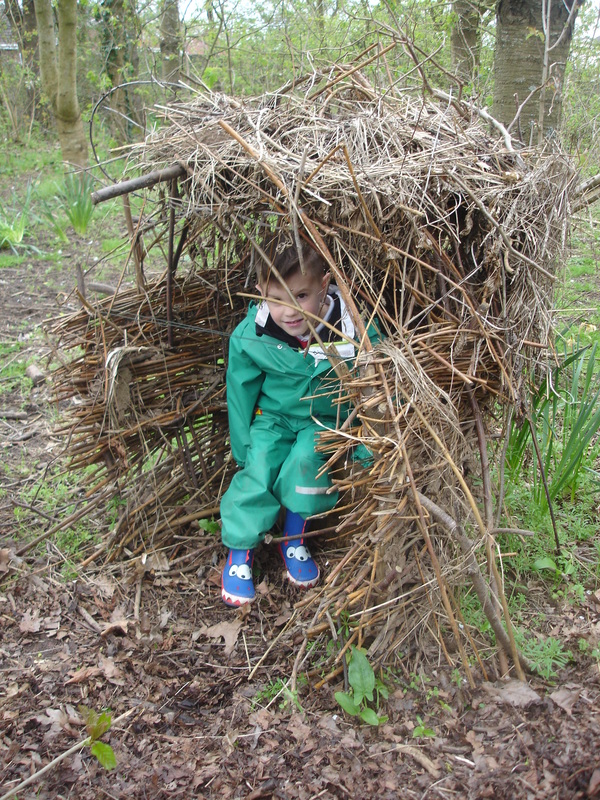 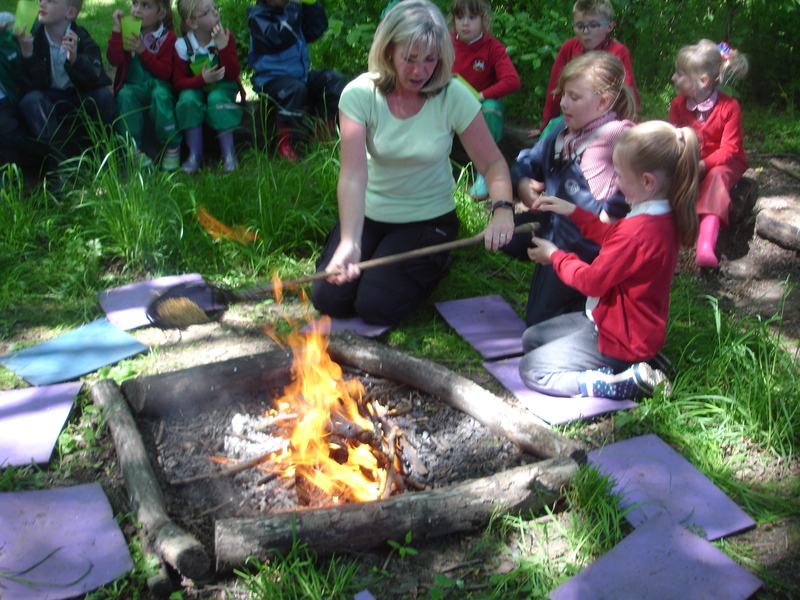 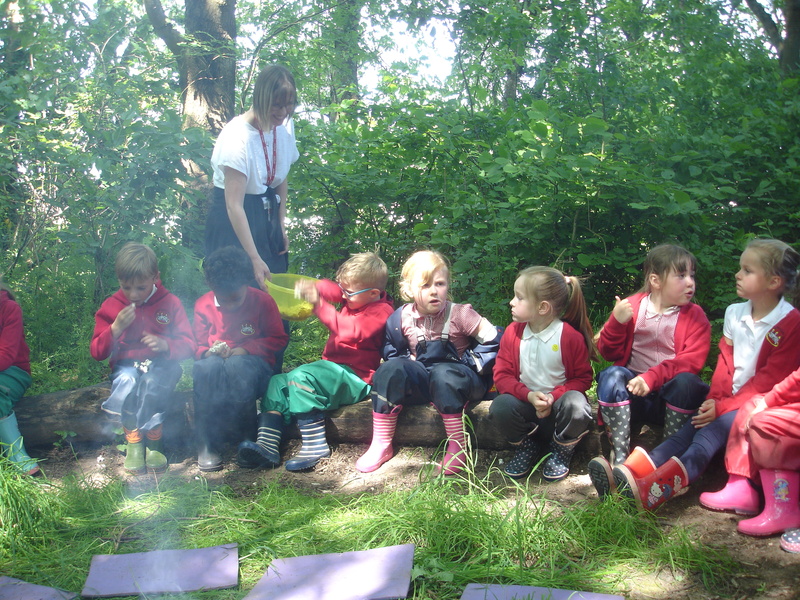 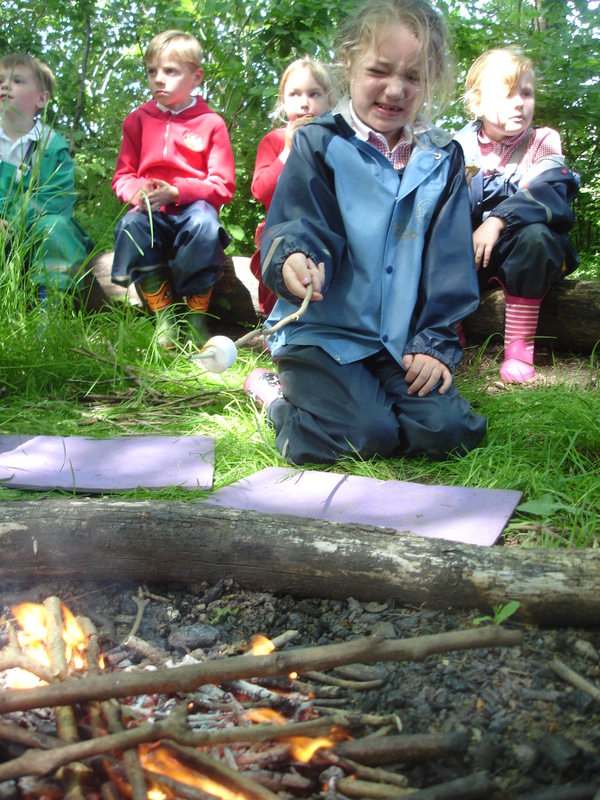 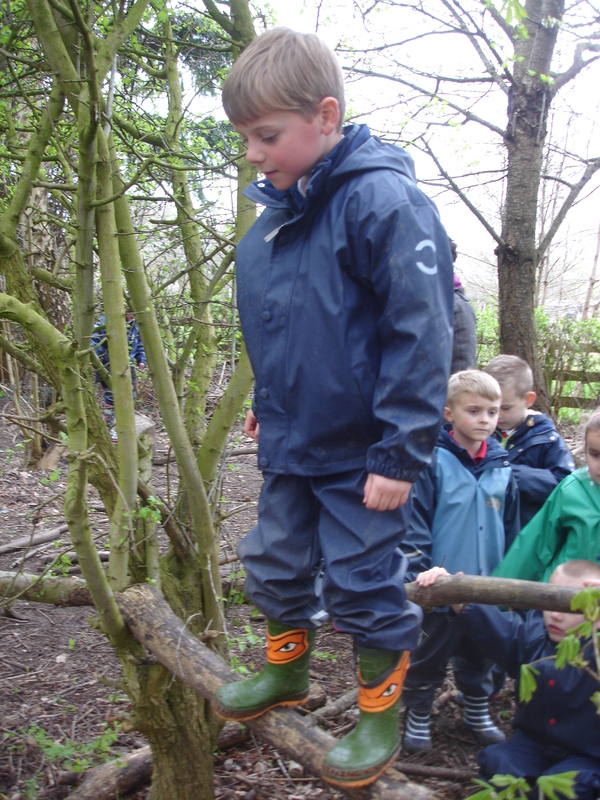 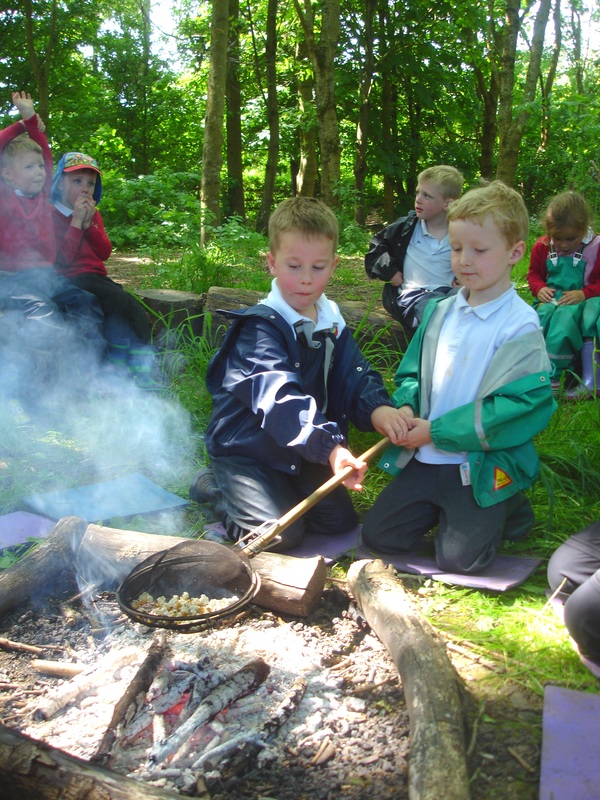 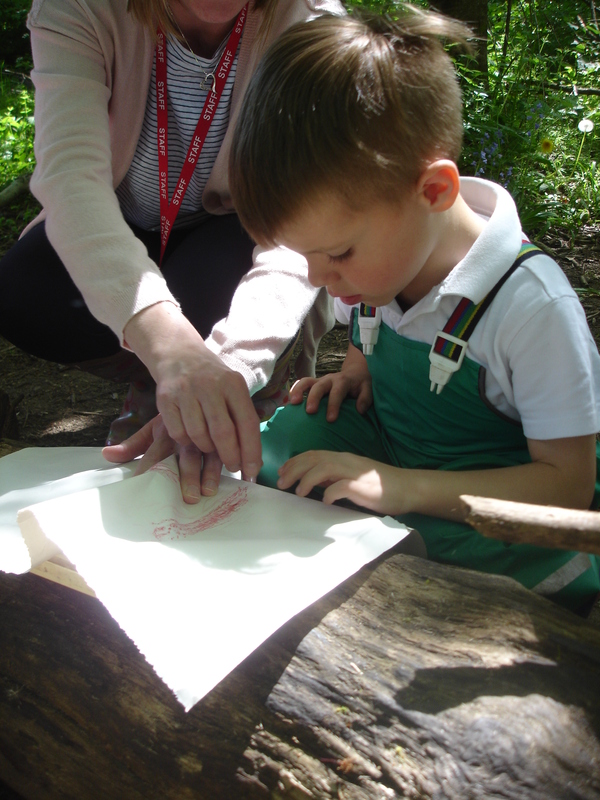 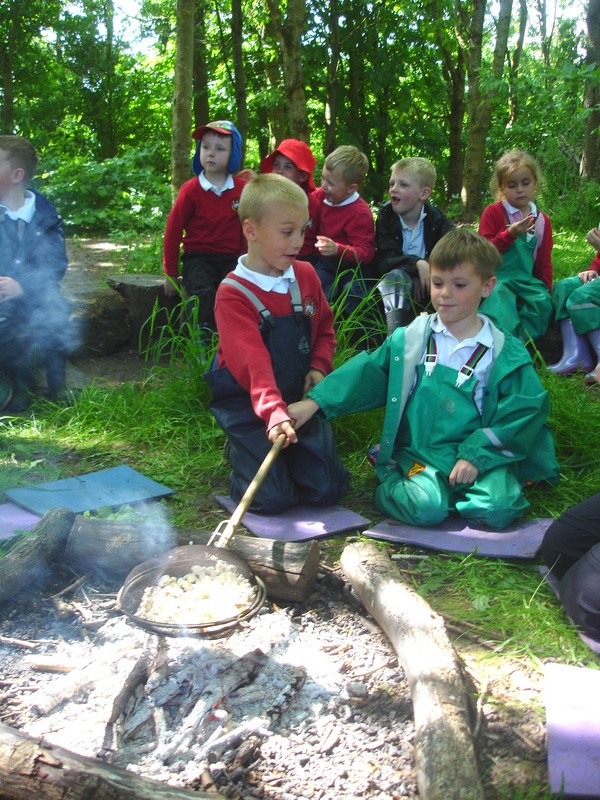 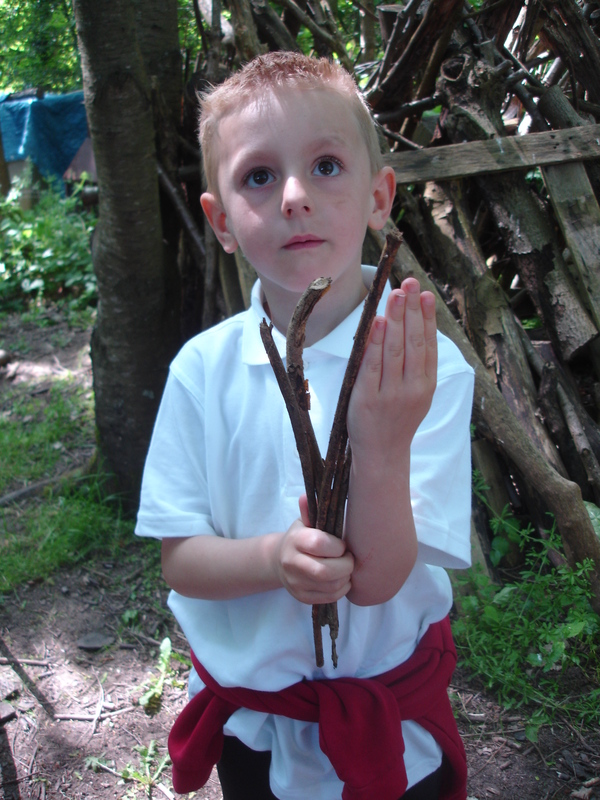 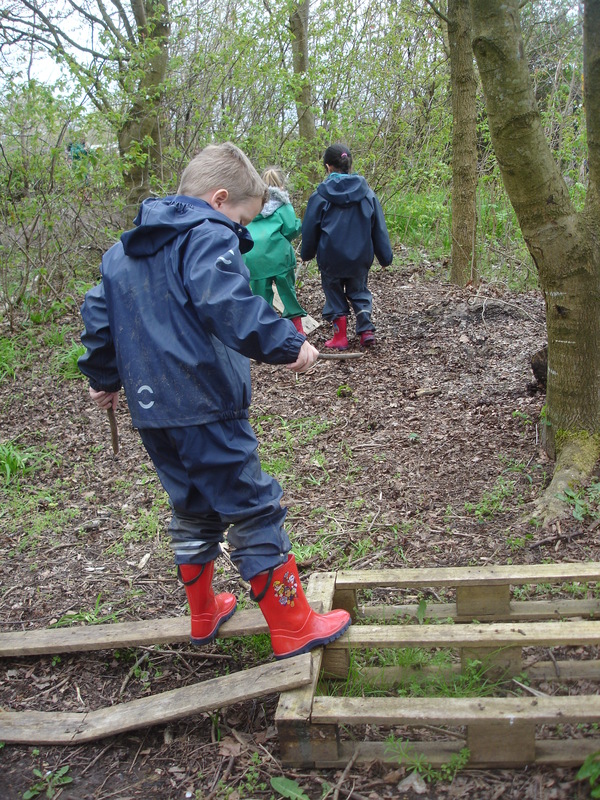 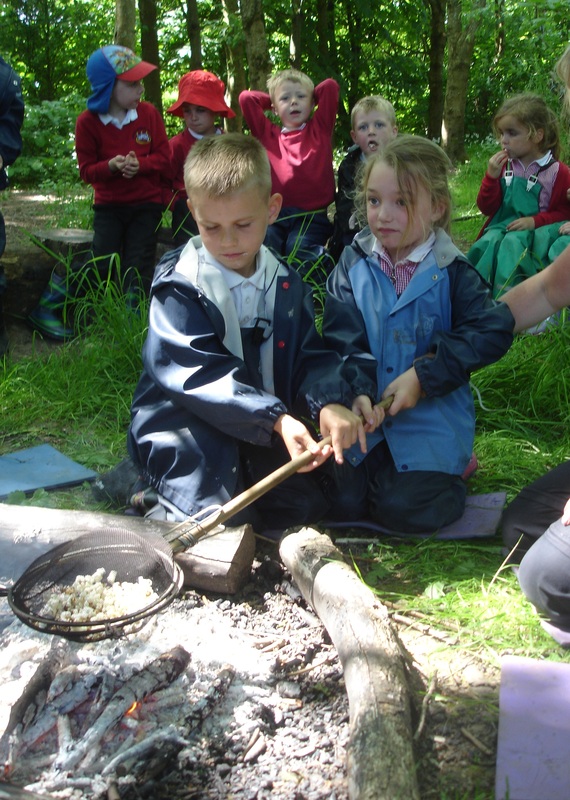 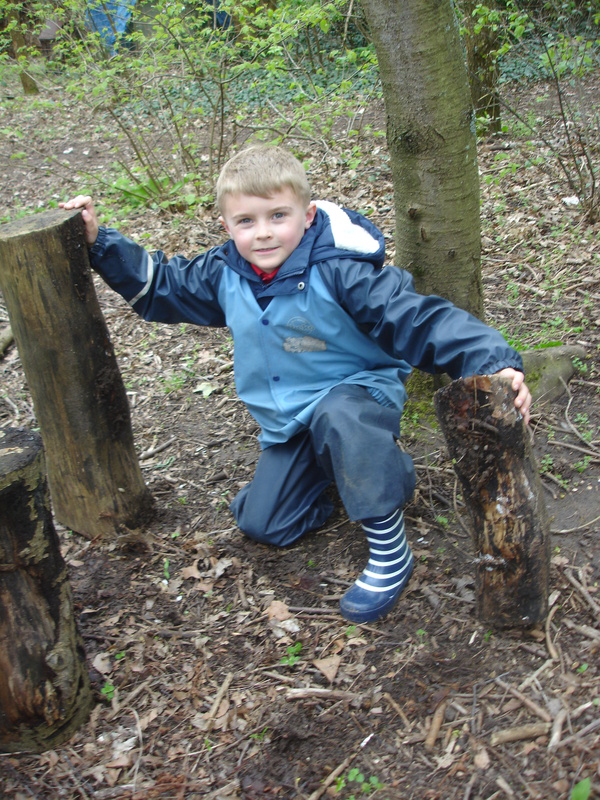 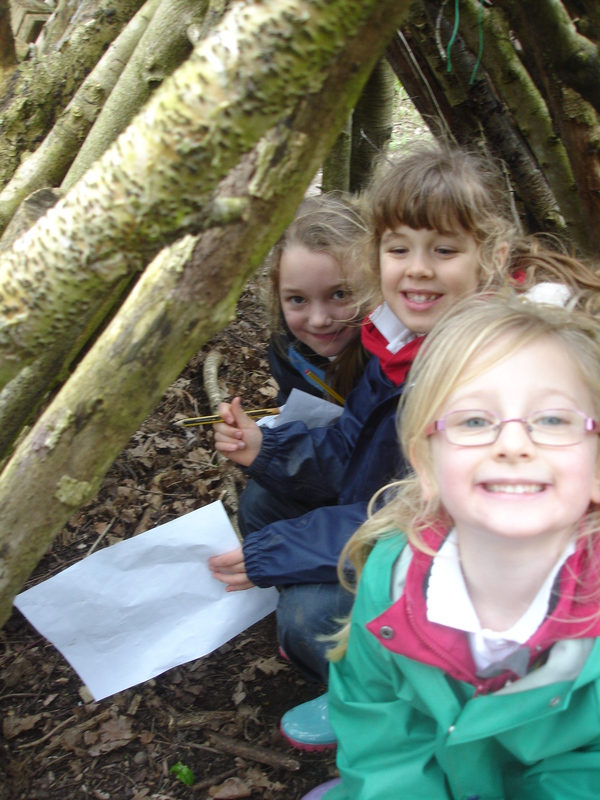 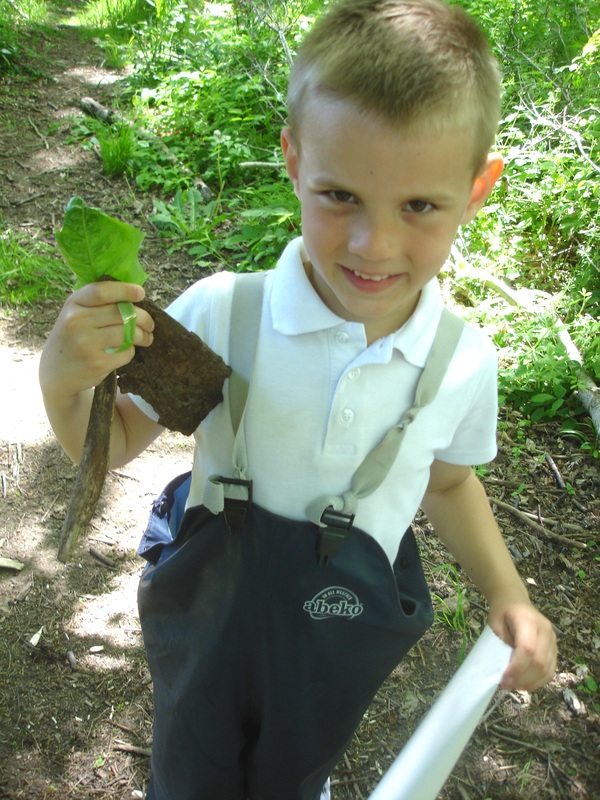 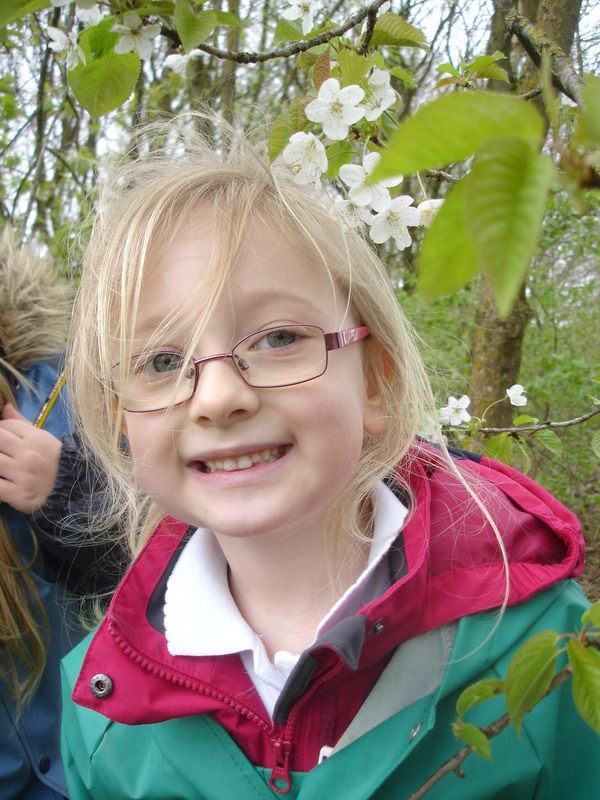 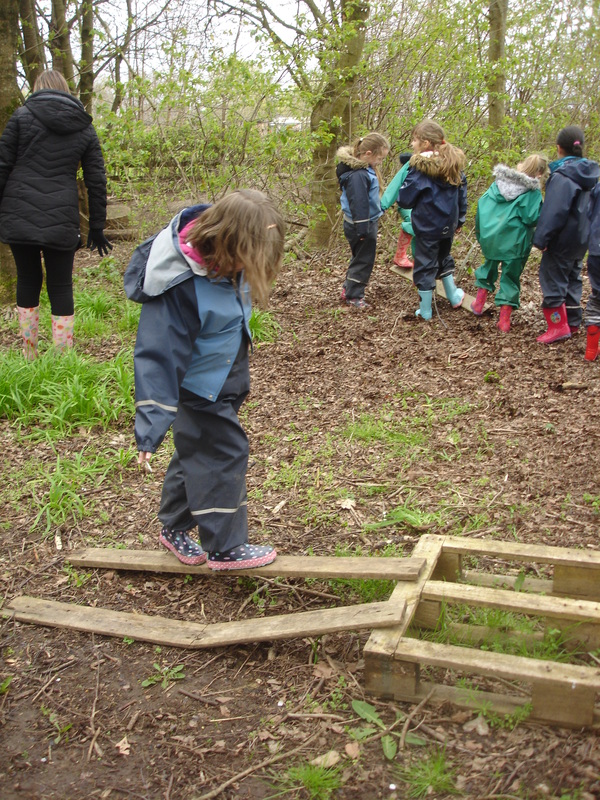 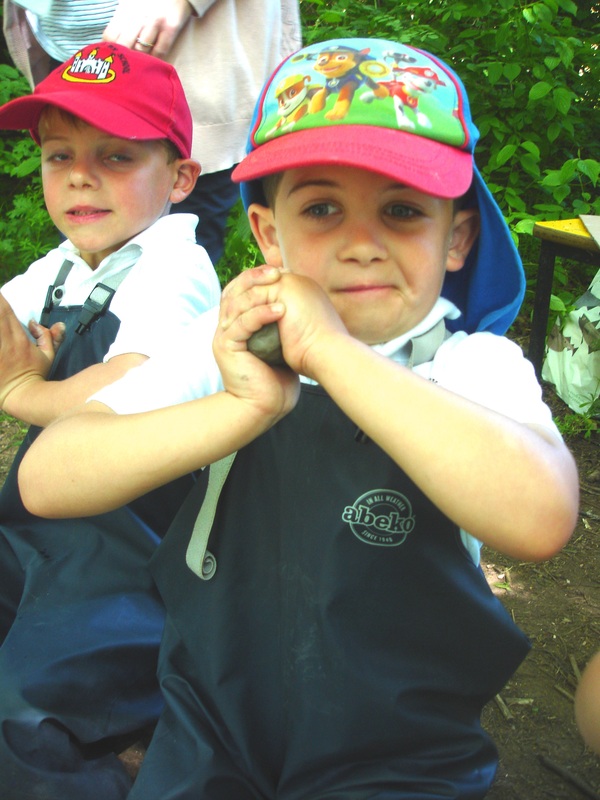 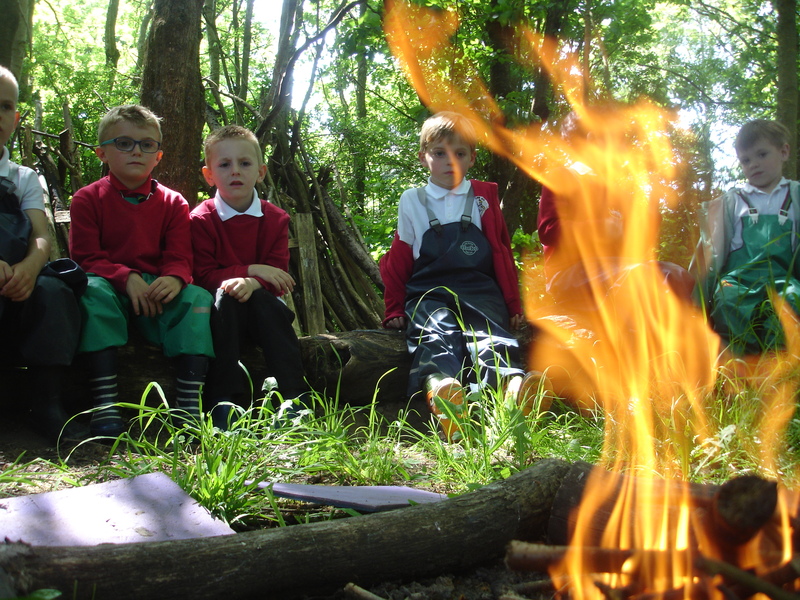 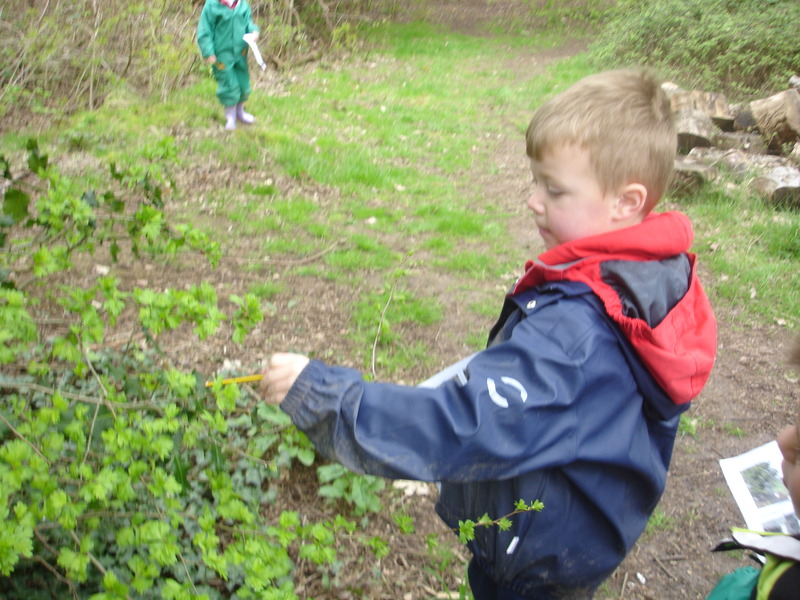 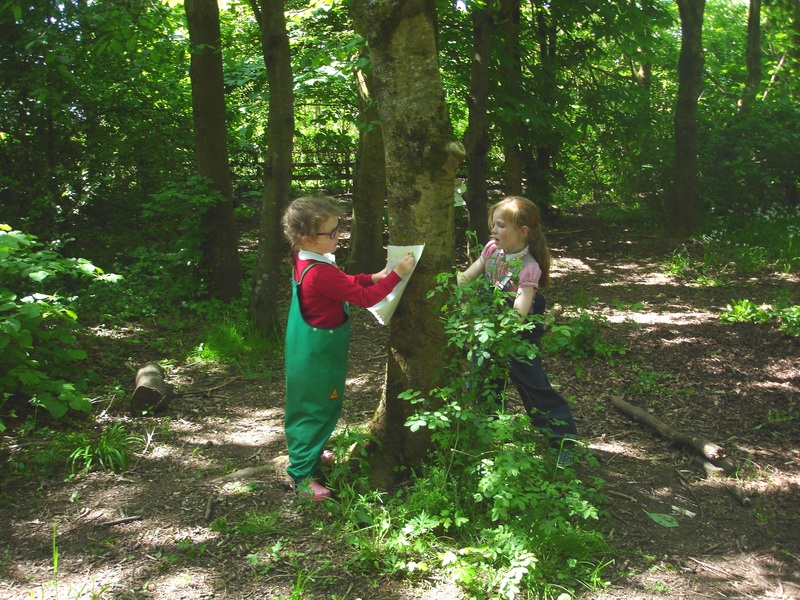 Today we enjoyed our first Forest School session. 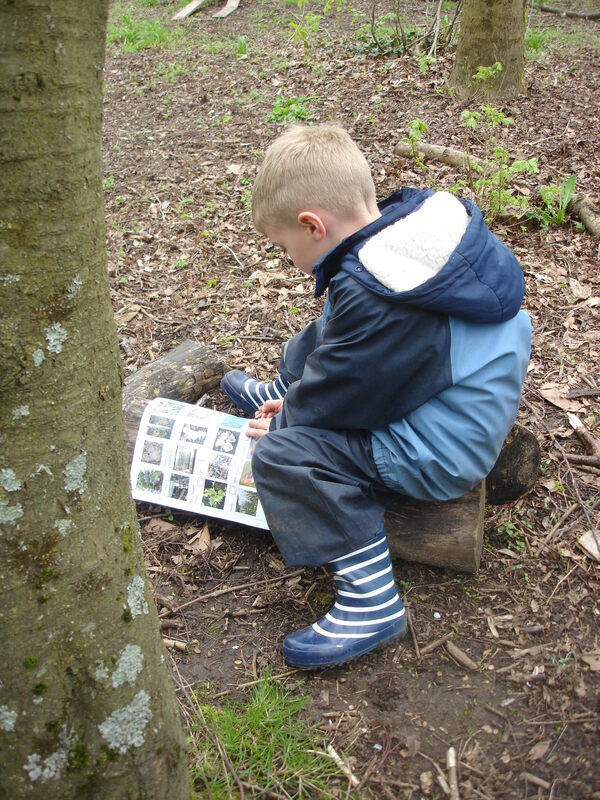 We went on a picture scavenger hunt and explored the forest. 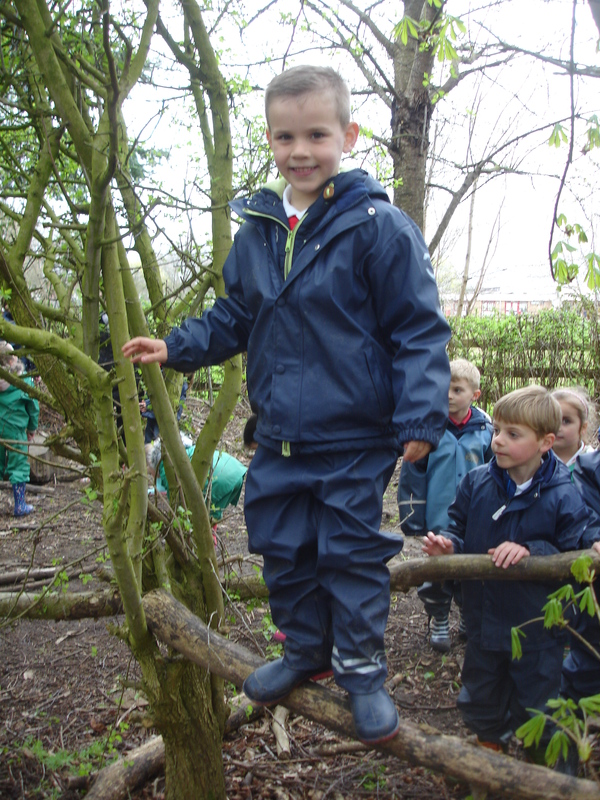 We also found time to do some balancing and gymnastics. 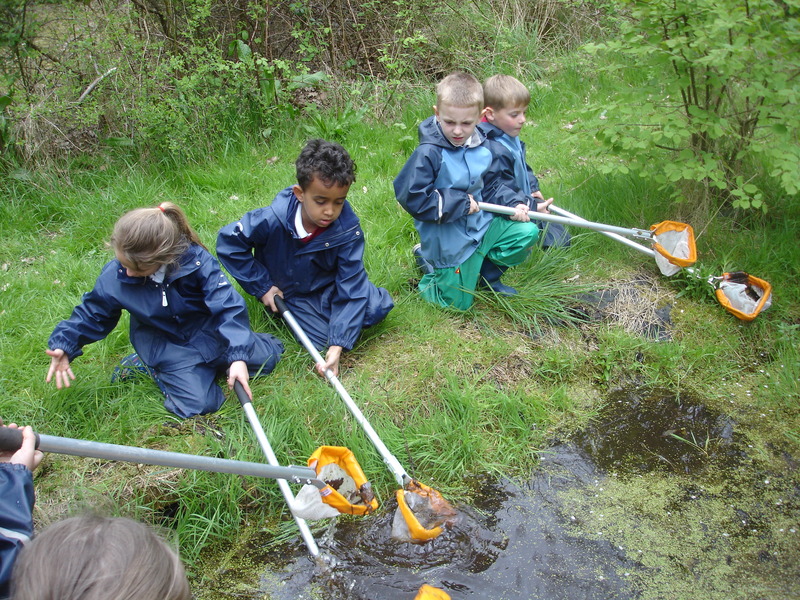 Some of us got really excited because we saw newts in the pond. 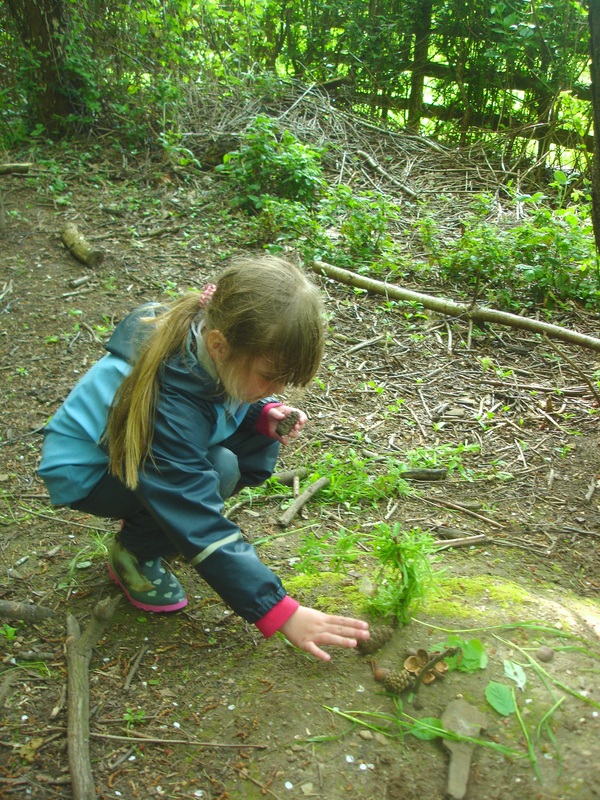 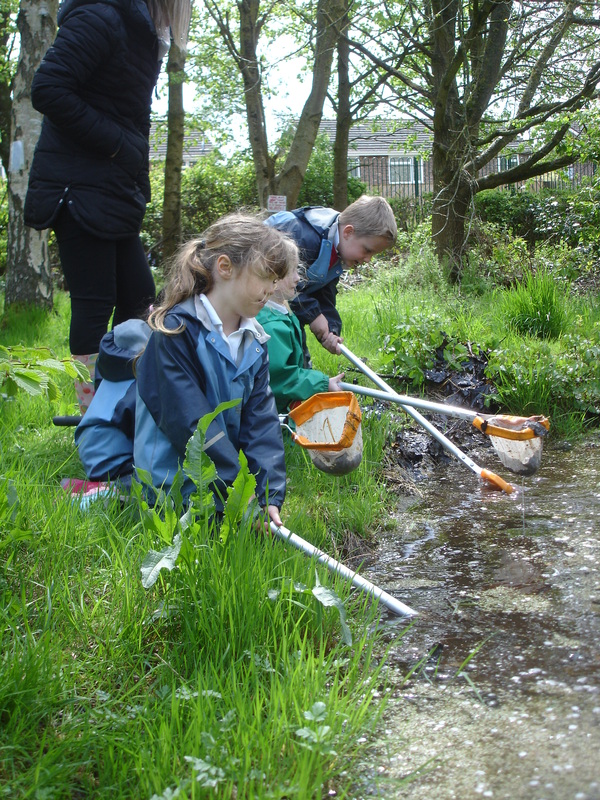 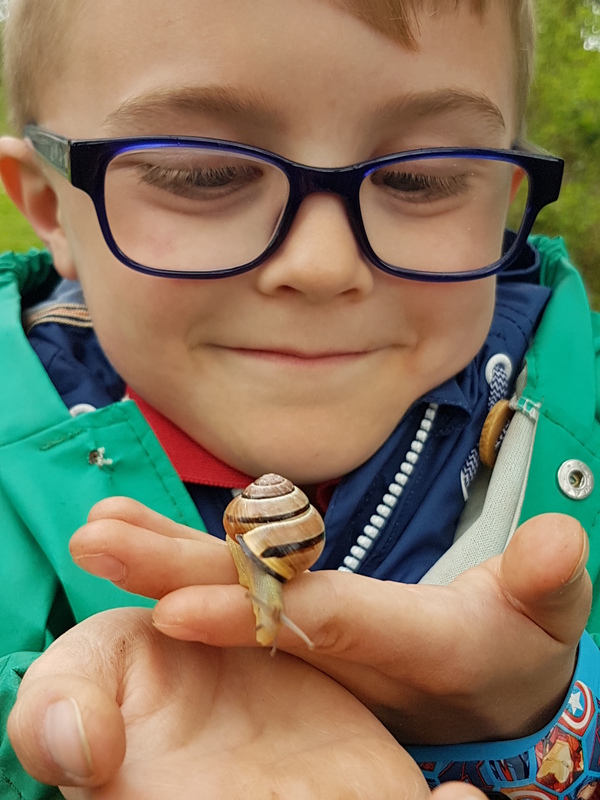 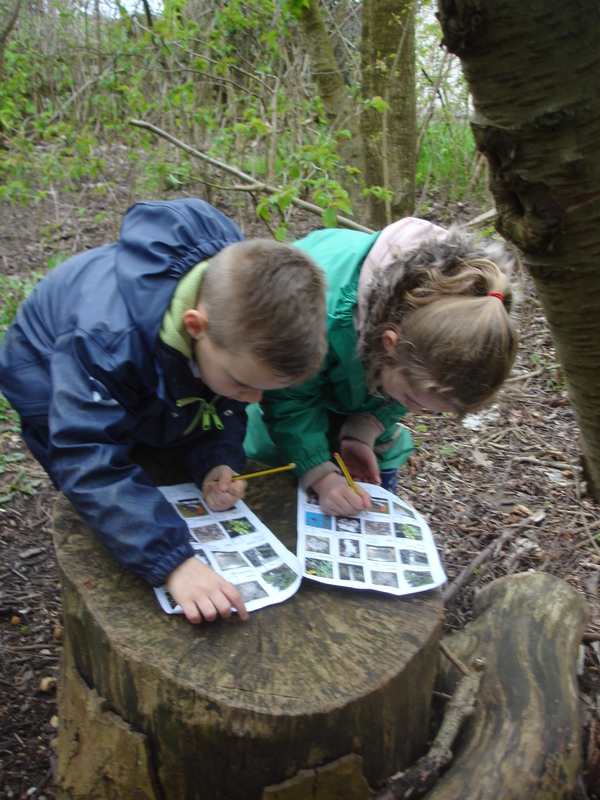 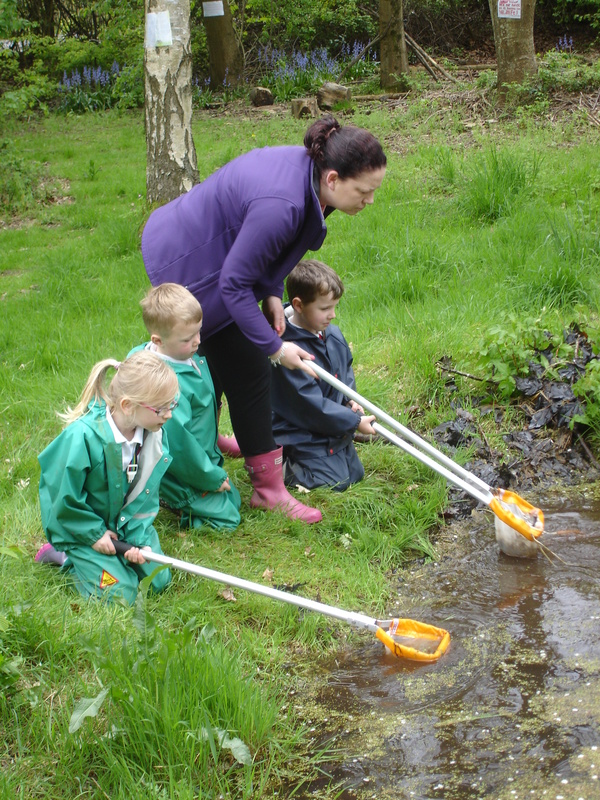 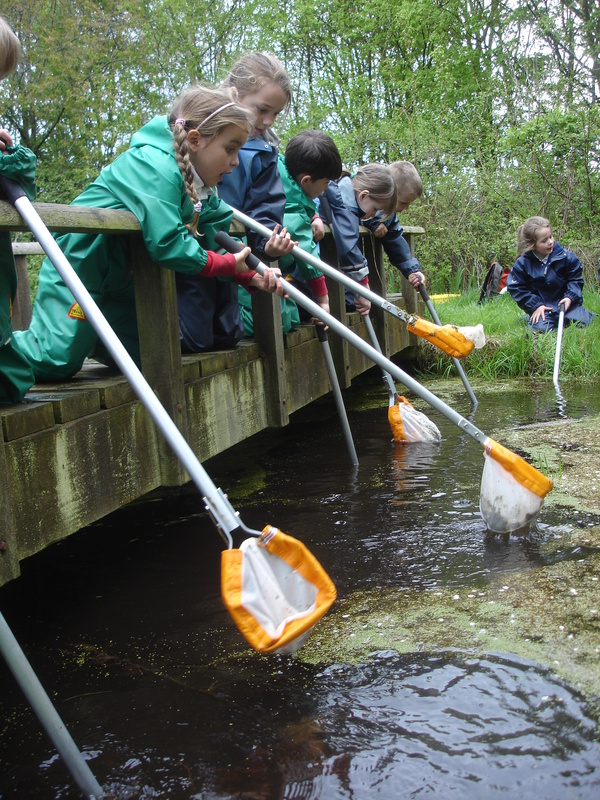 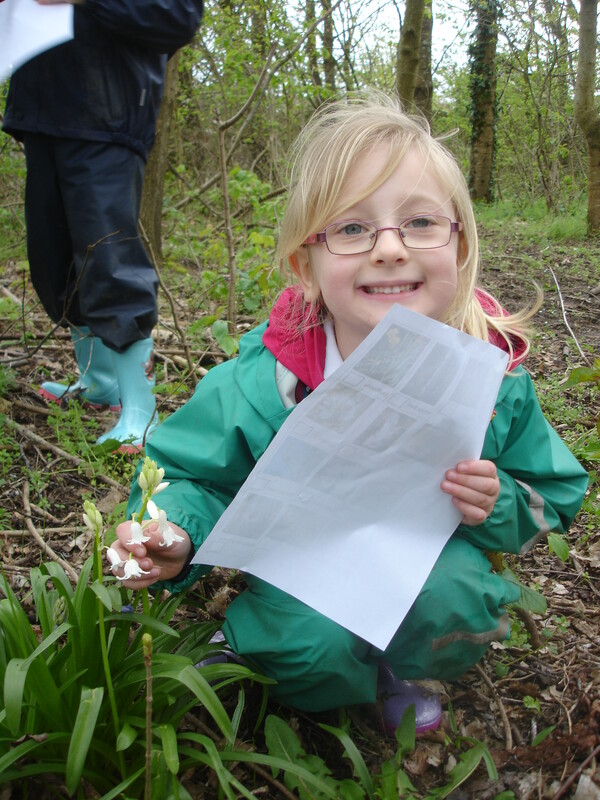 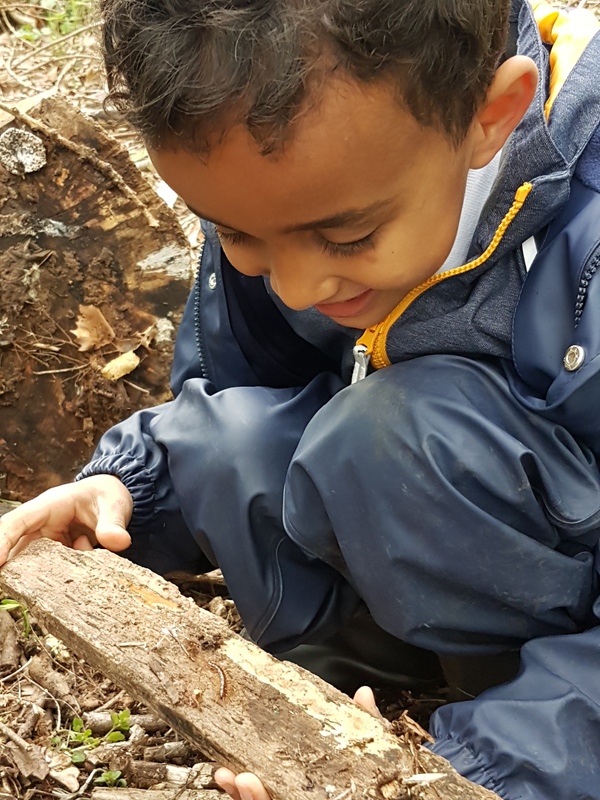 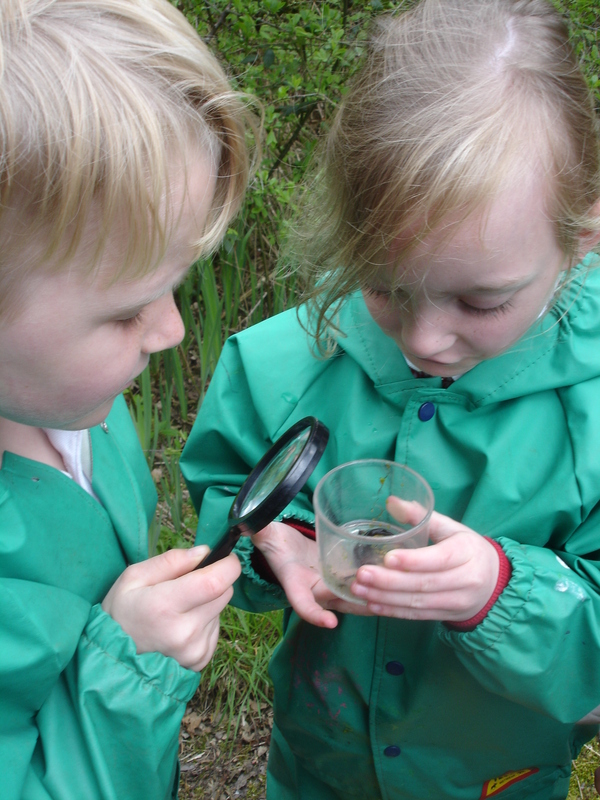 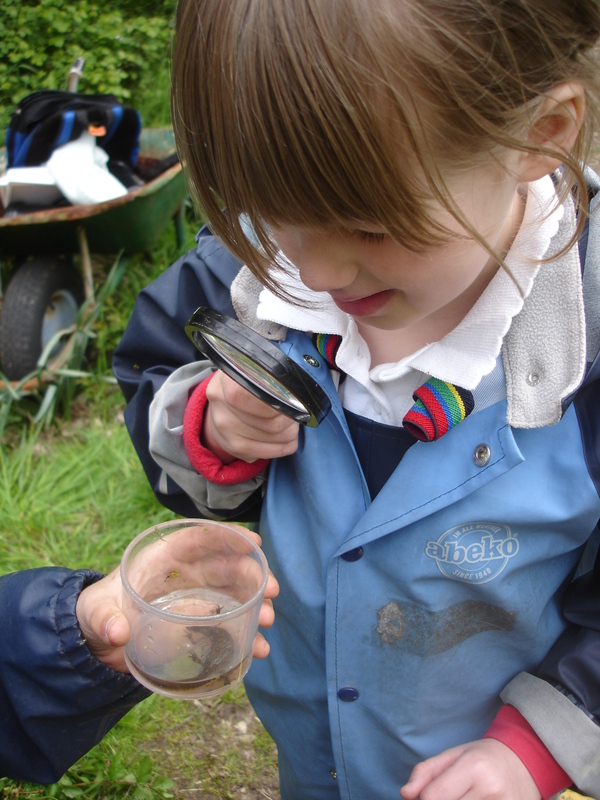 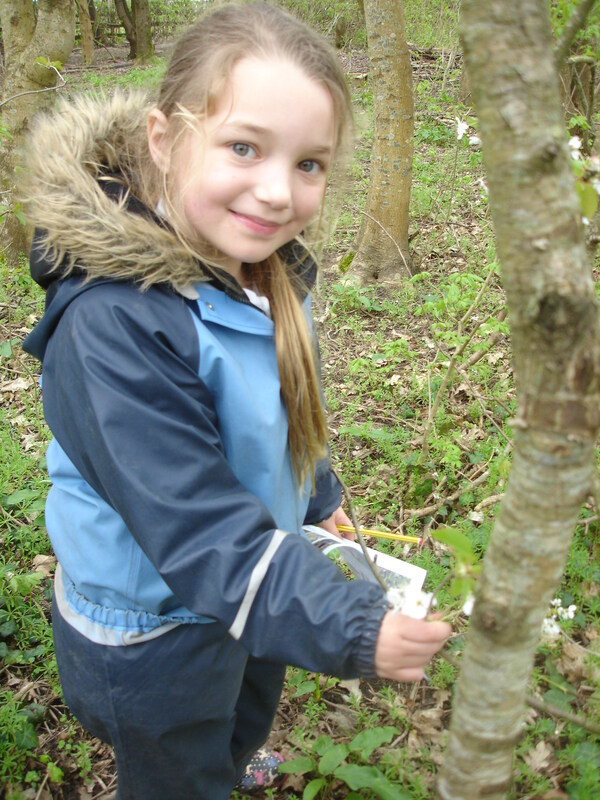 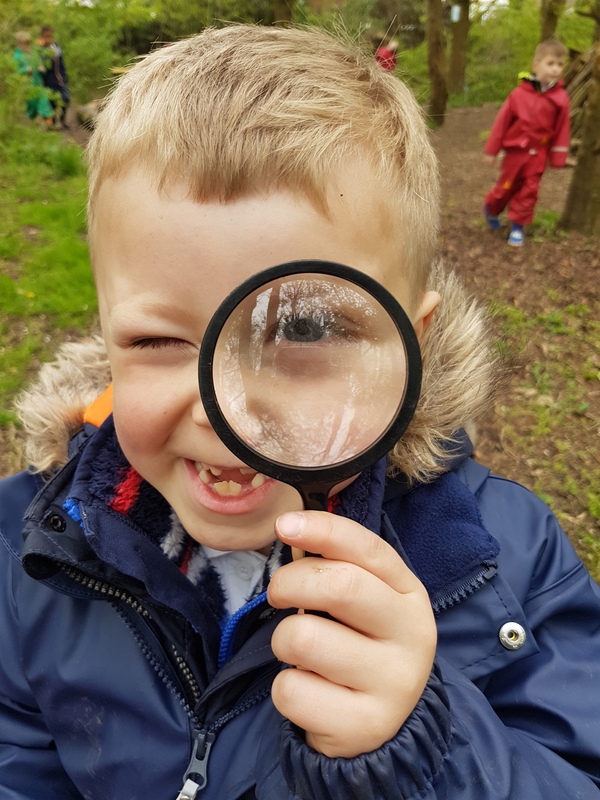 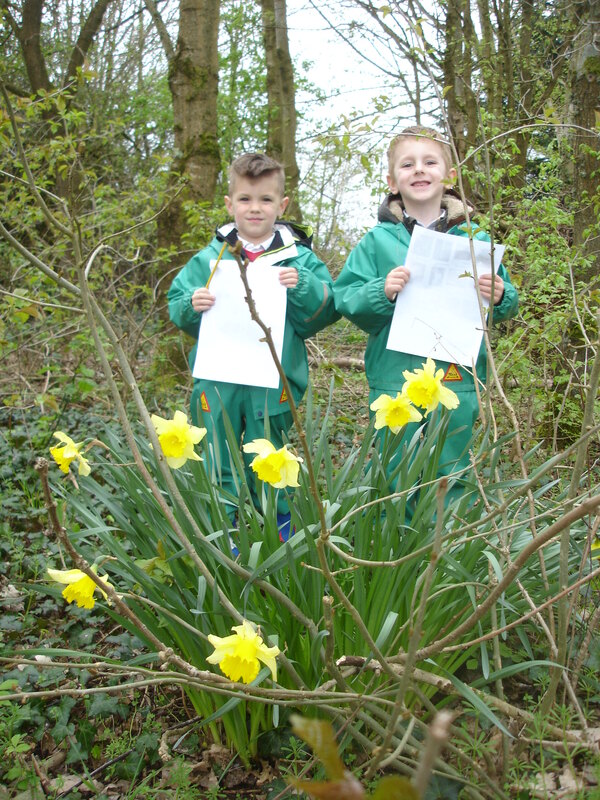 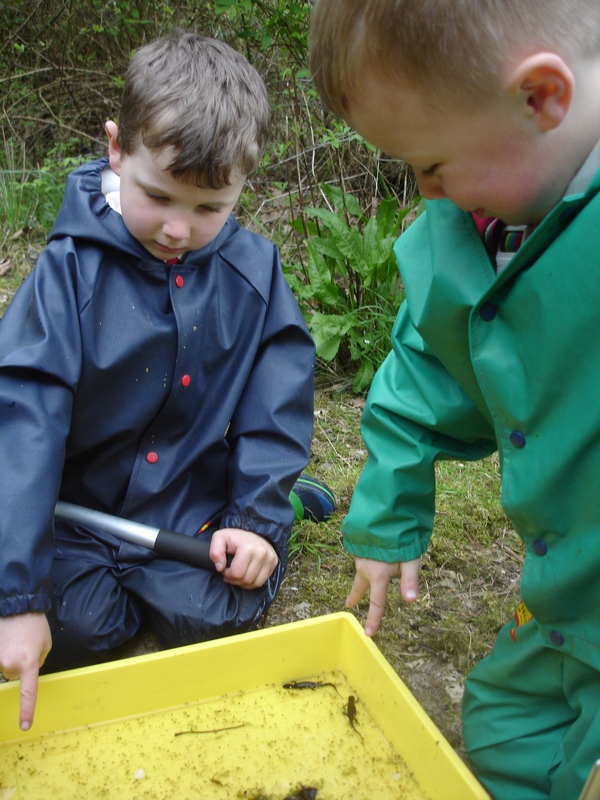 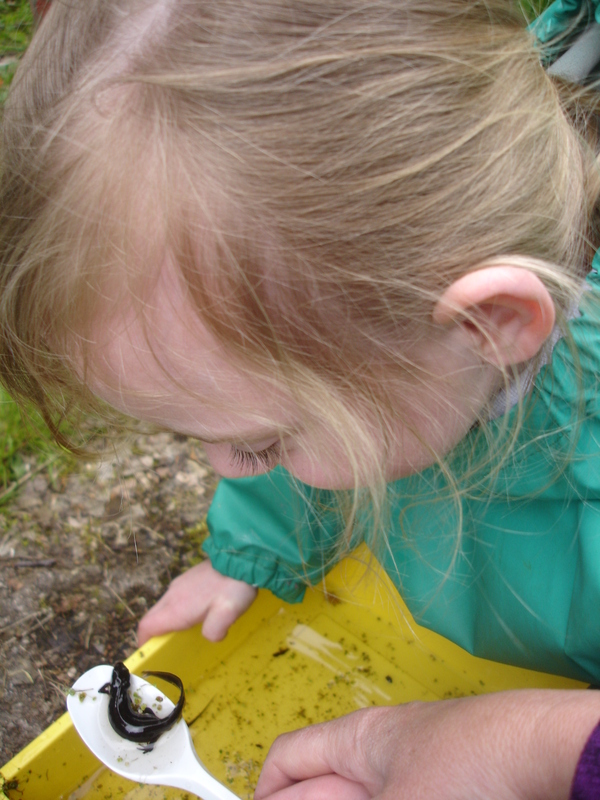 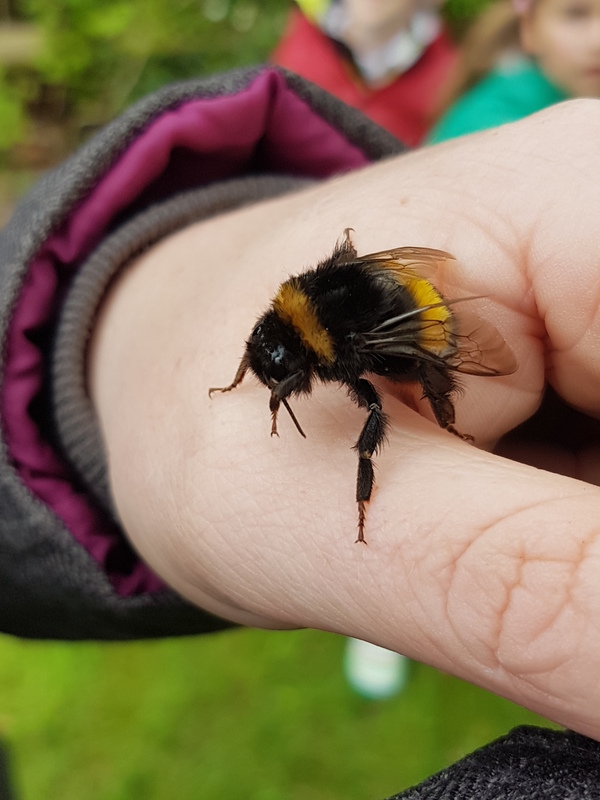 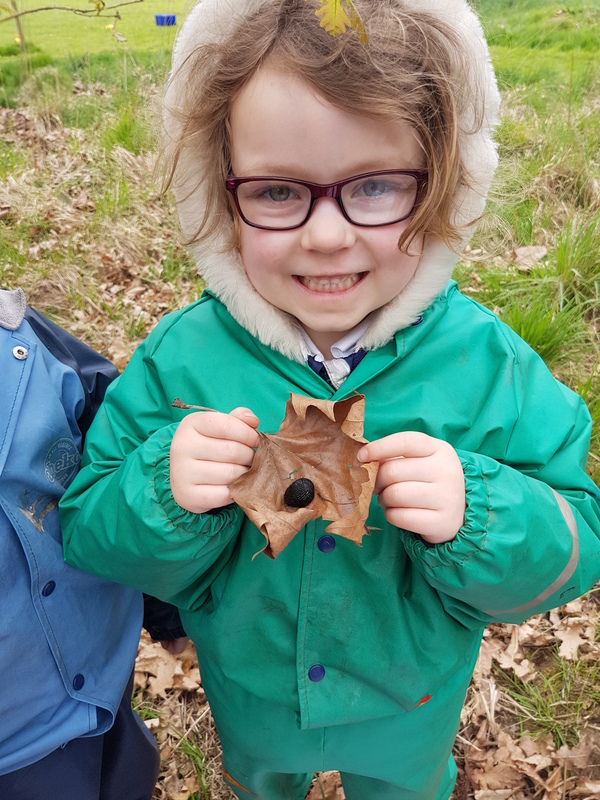 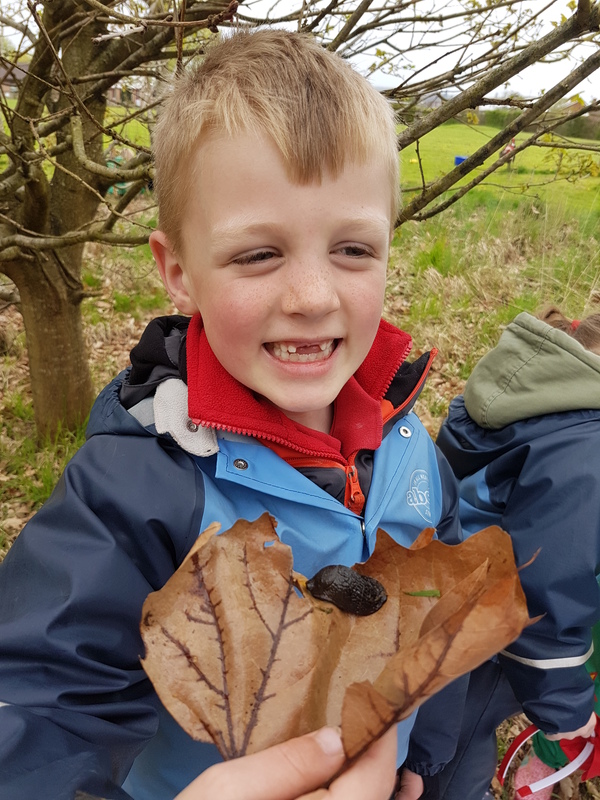 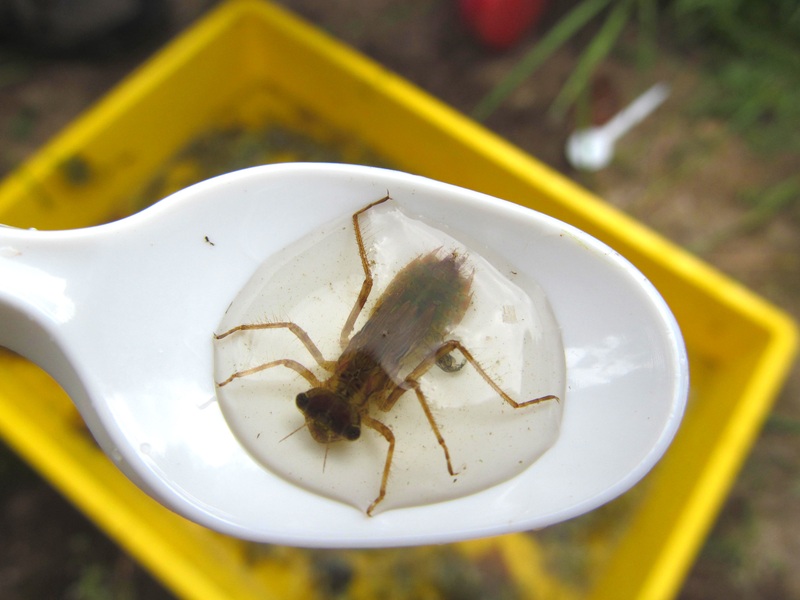 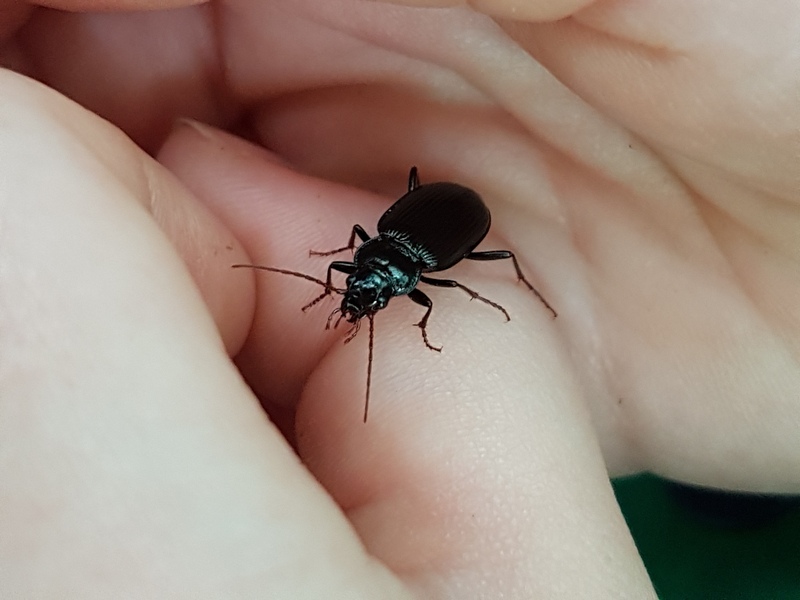 We went on a mini beast hunt this week and we found loads of little creatures that call our forest their home. 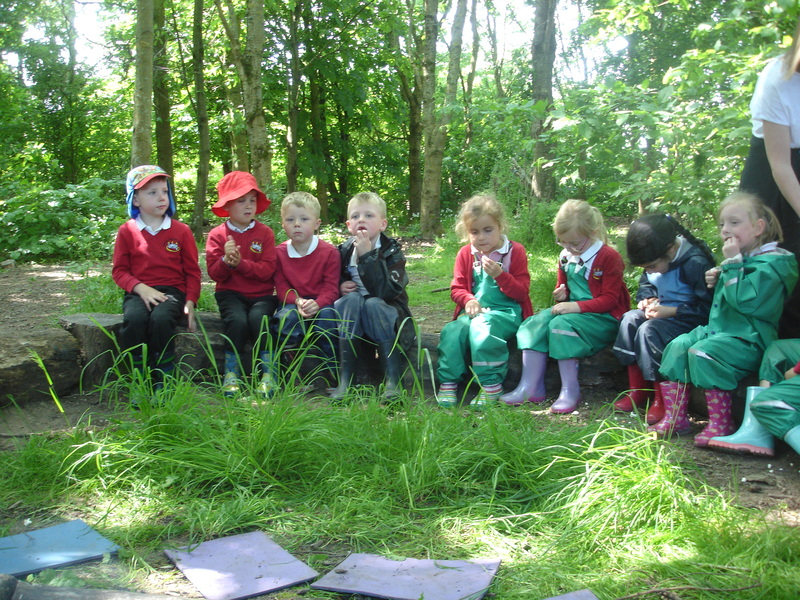 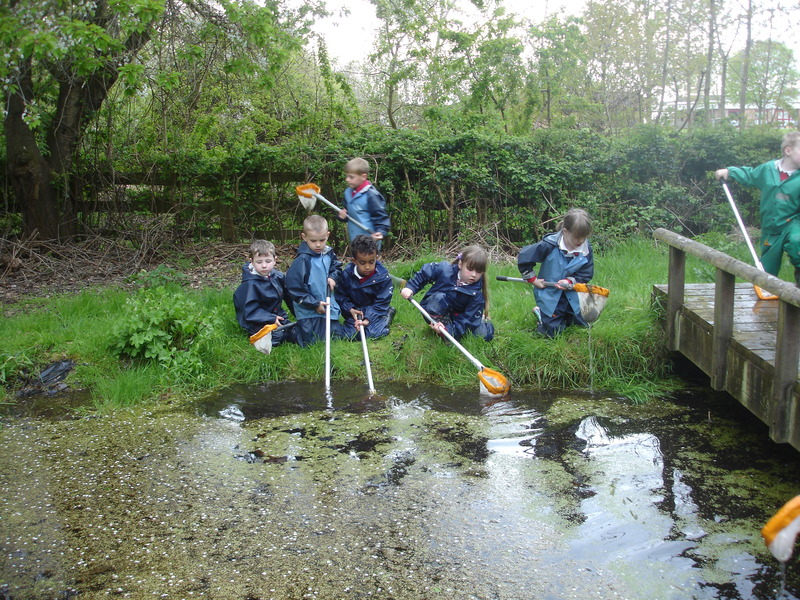 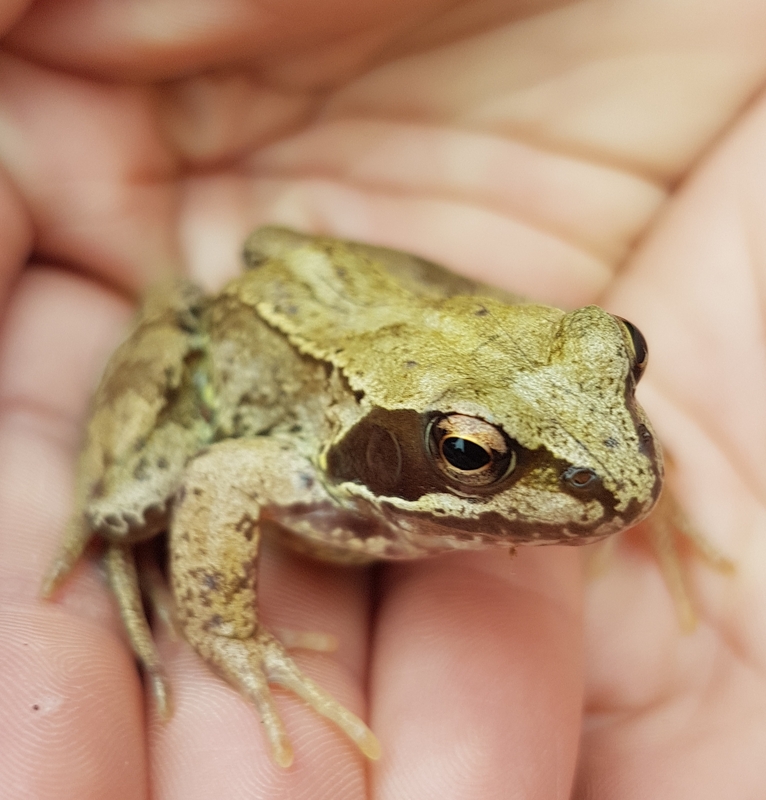 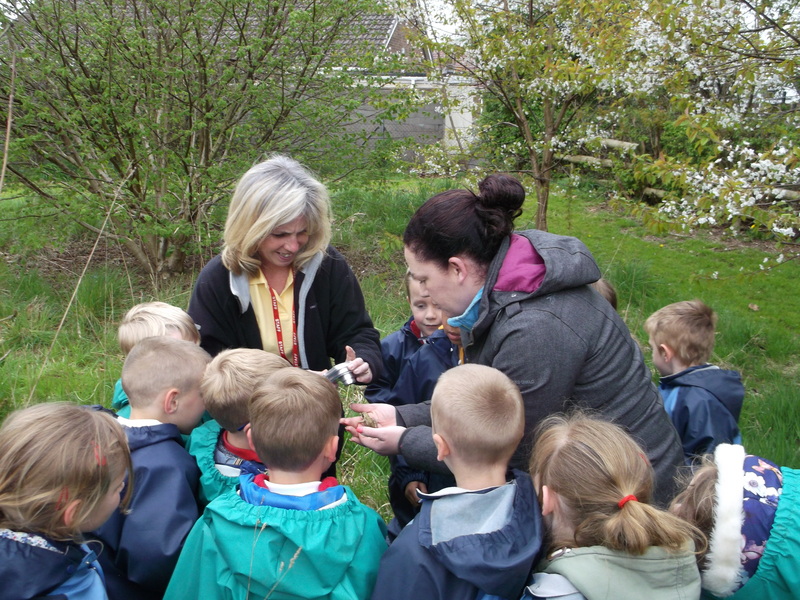 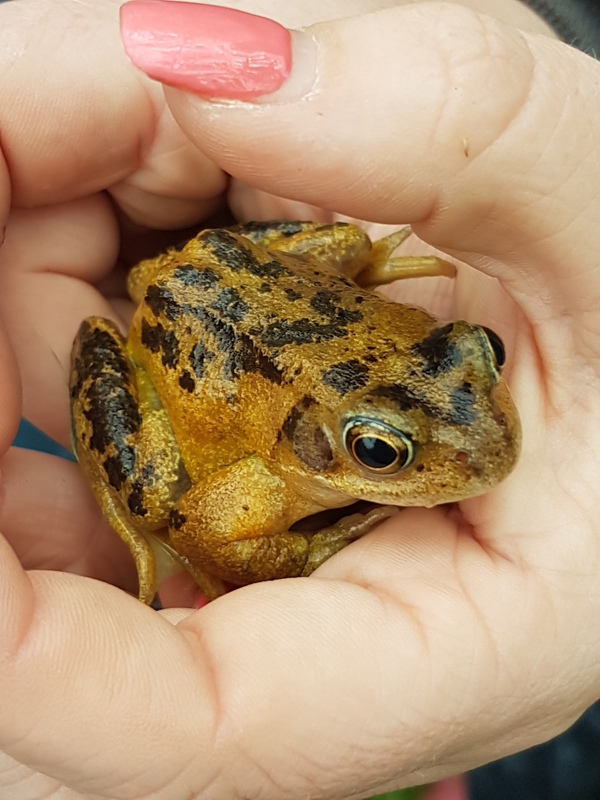 We were very excited when we found 2 frogs in our meadow area. 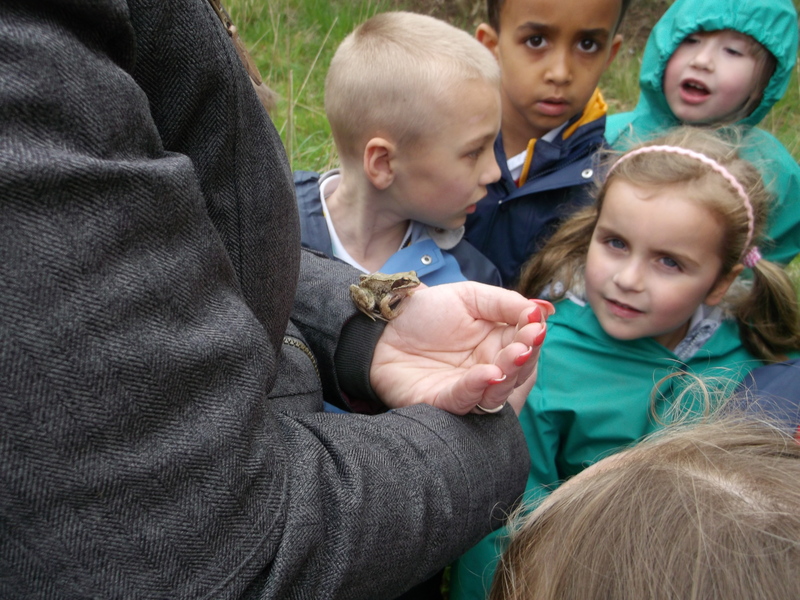 Mrs Johns tried to kiss one…but it didn’t turn into a prince! 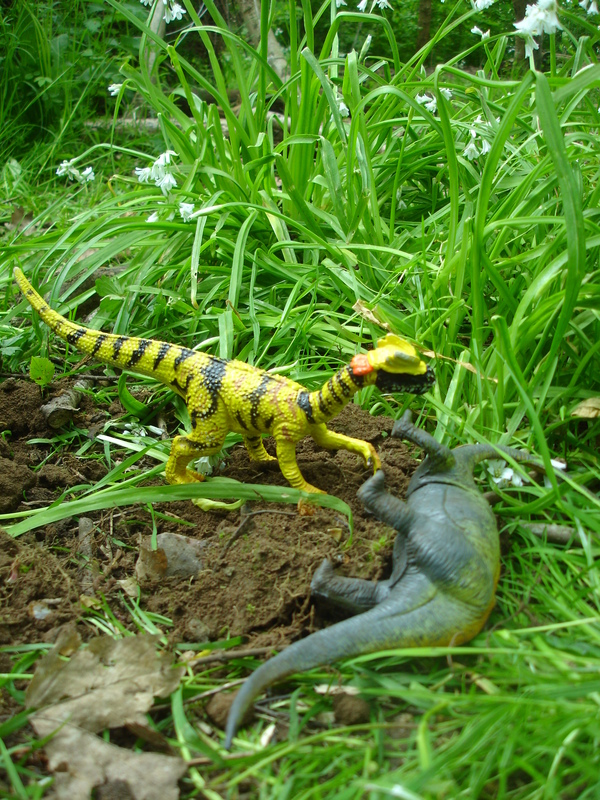 Our topic this term is ‘Dinosaurs’. 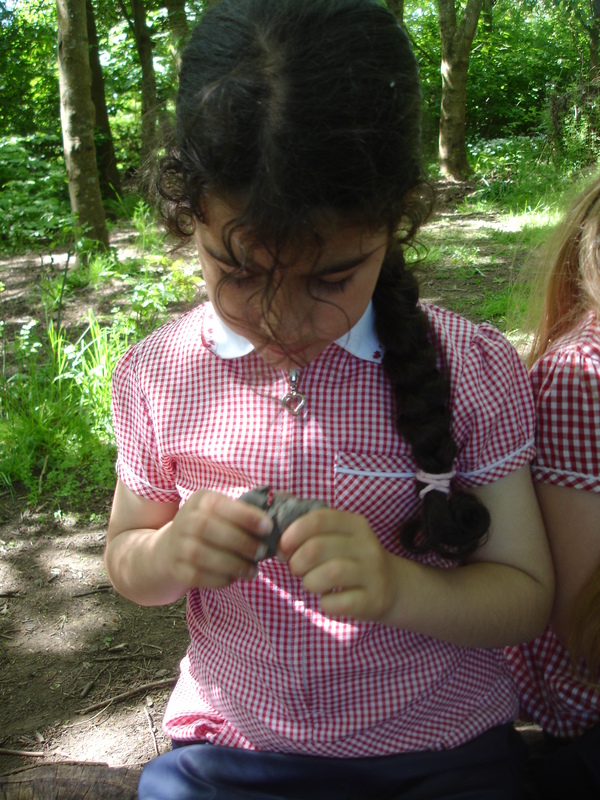 With this in mind we headed off to the pond to find some prehistoric life of our own. 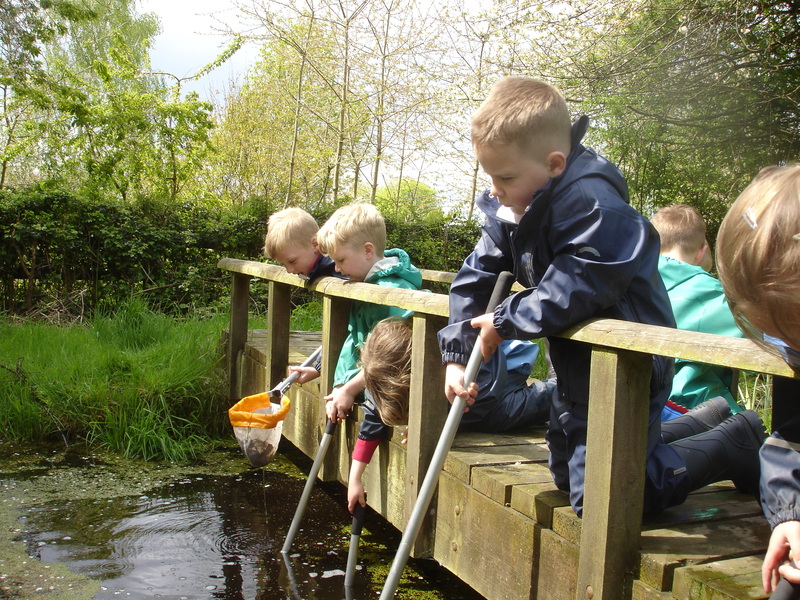 We spent and very happy afternoon fishing all kinds of creatures from the water. 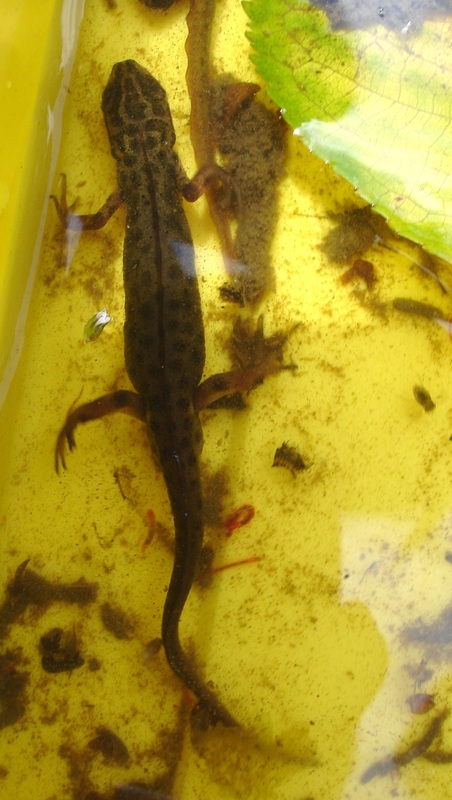 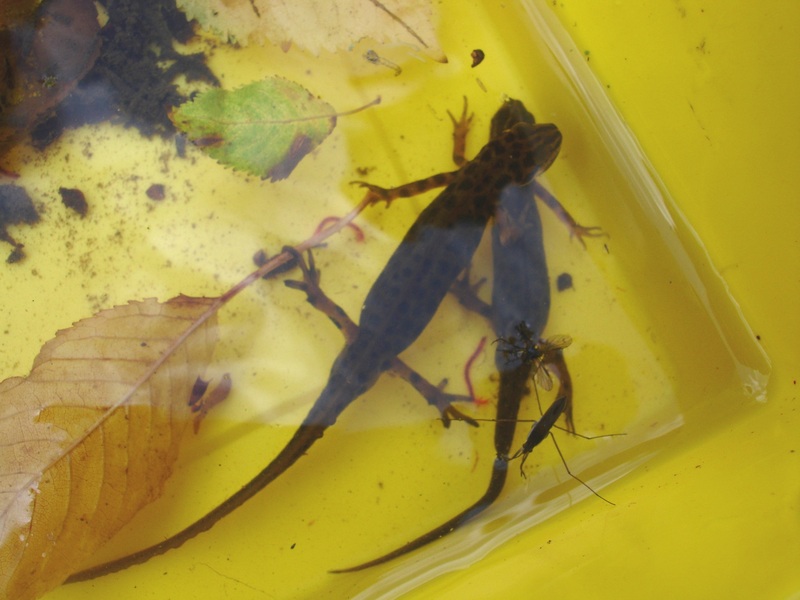 The newts were the closest things to dinosaurs that we found. 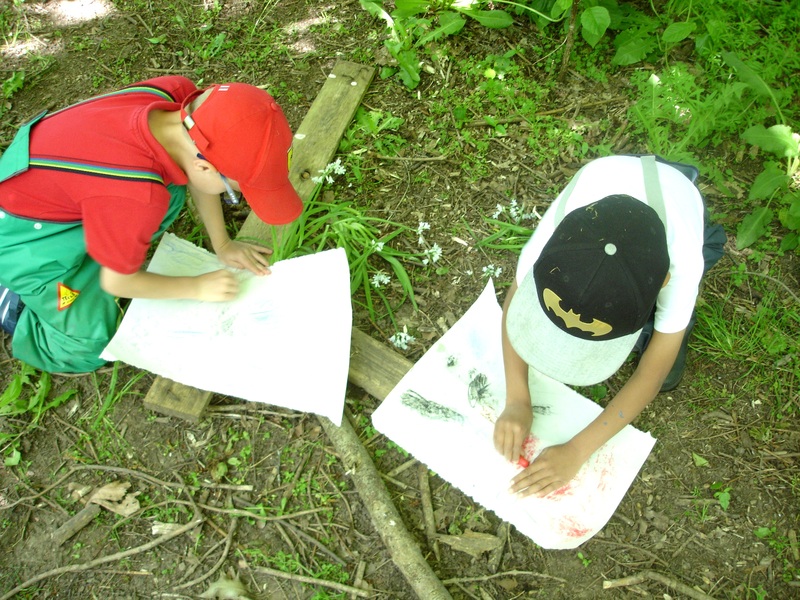 Back in class we are going to compare their differences and similarities. 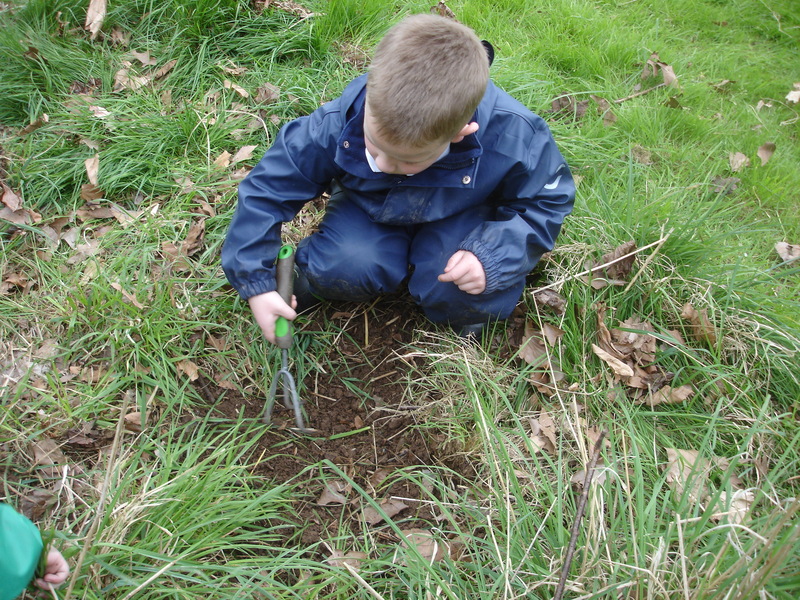 We also did a little gardening, planting sunflower seeds into the meadow area. 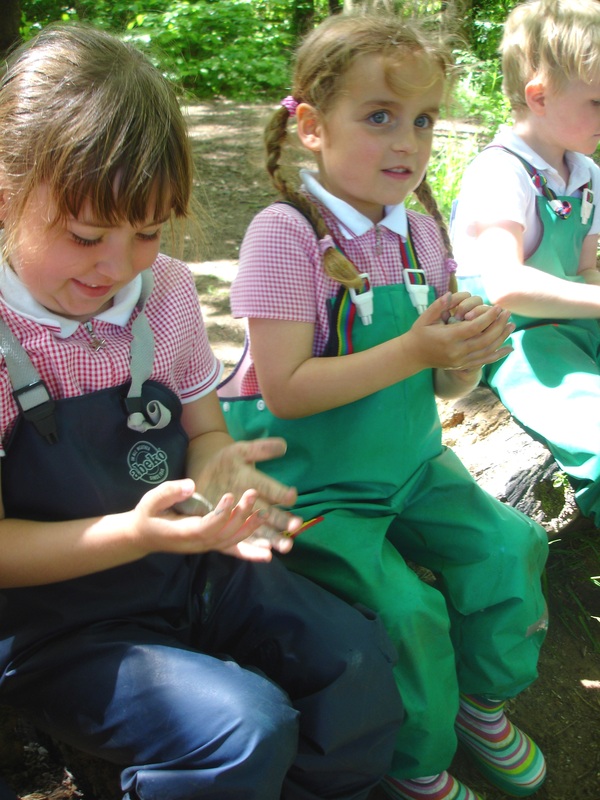 We are looking forward to looking after them and watching them grow throughout the summer. 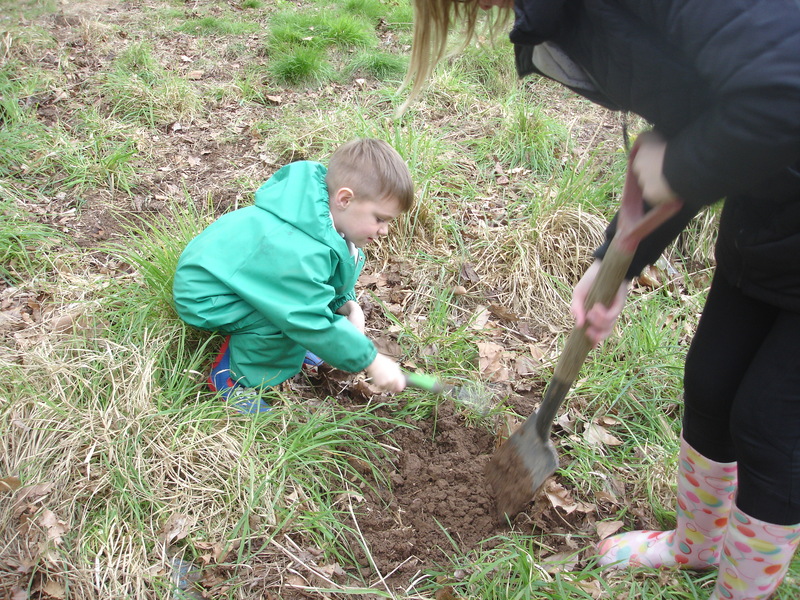 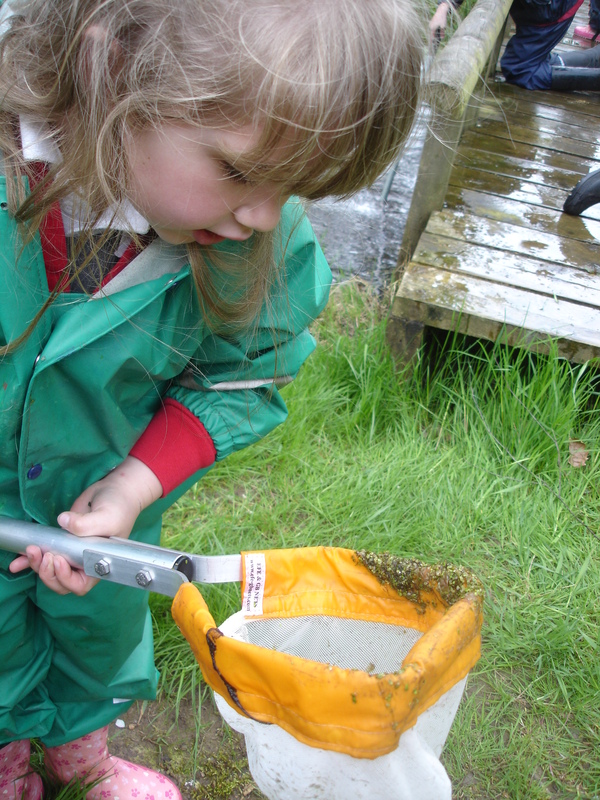 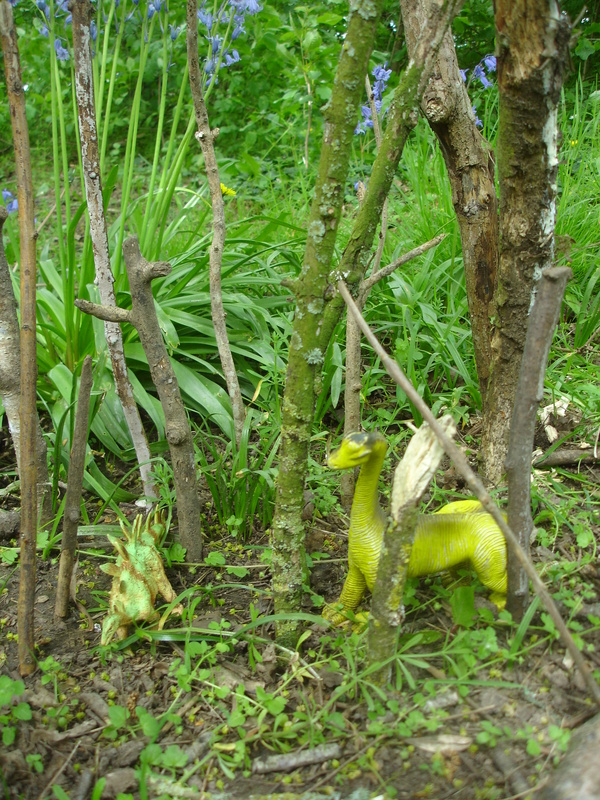 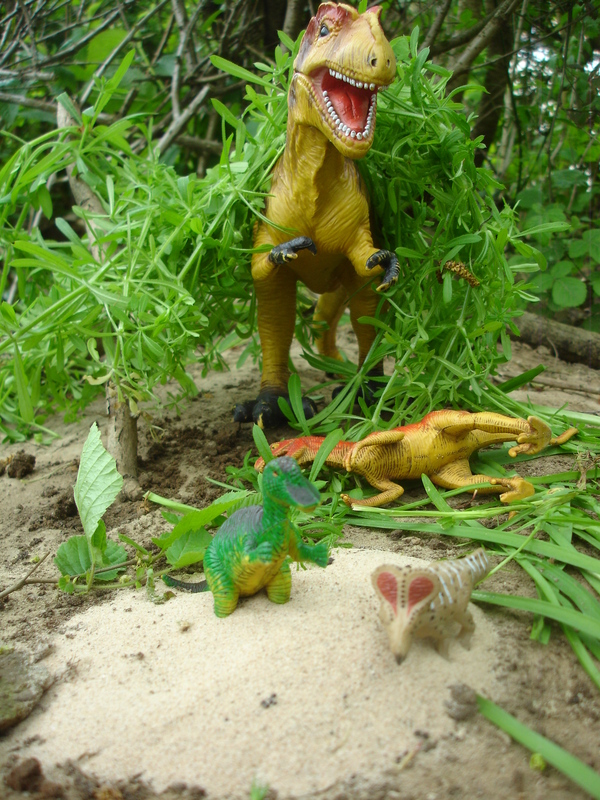 We spent today’s session digging mud and collecting natural resources to create mini dinosaur landscapes. 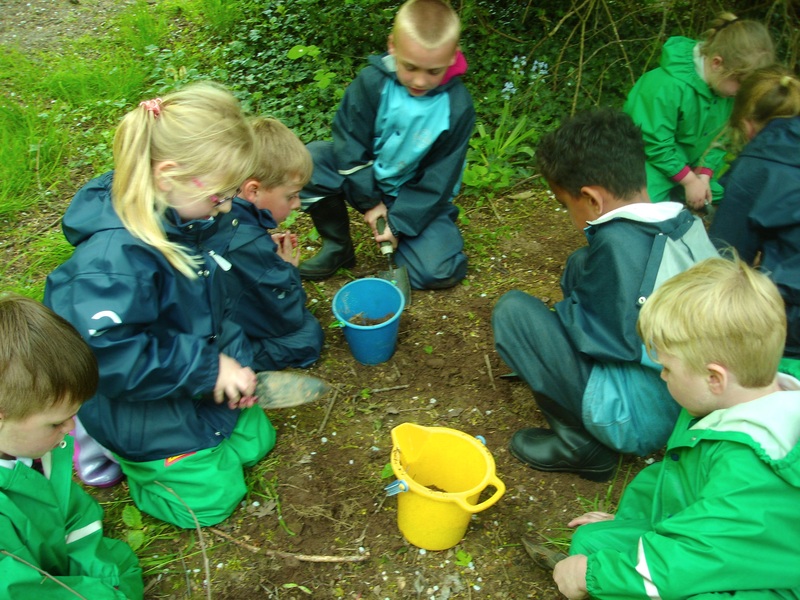 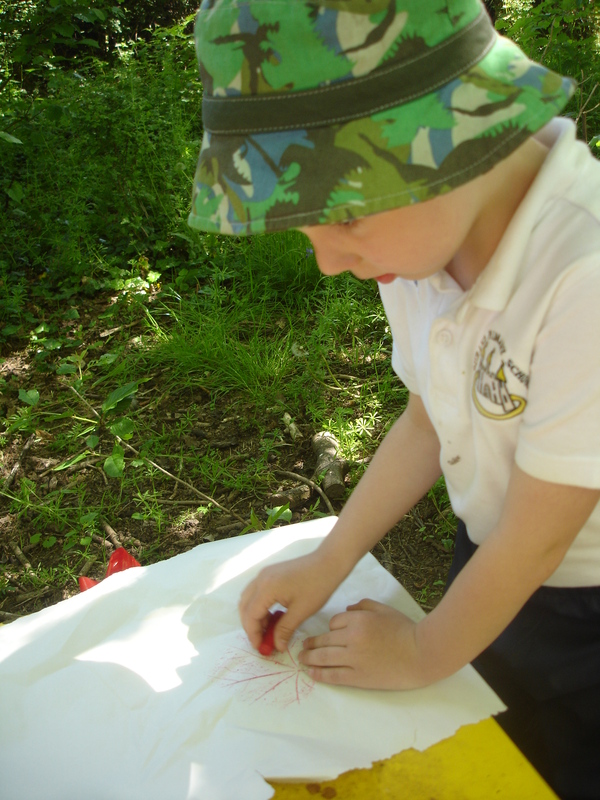 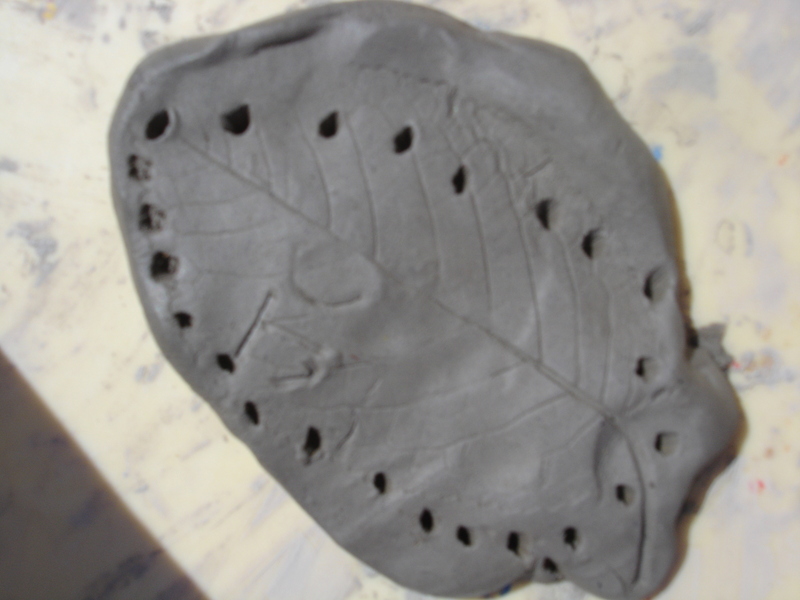 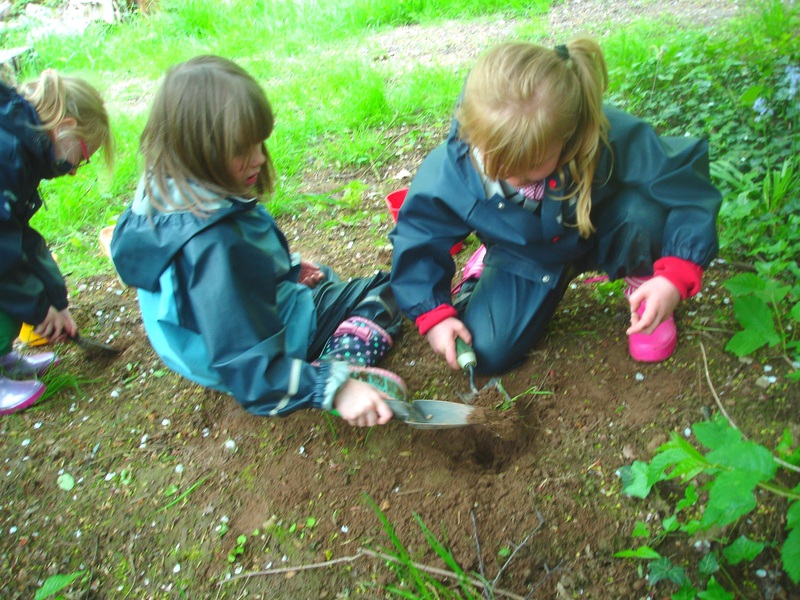 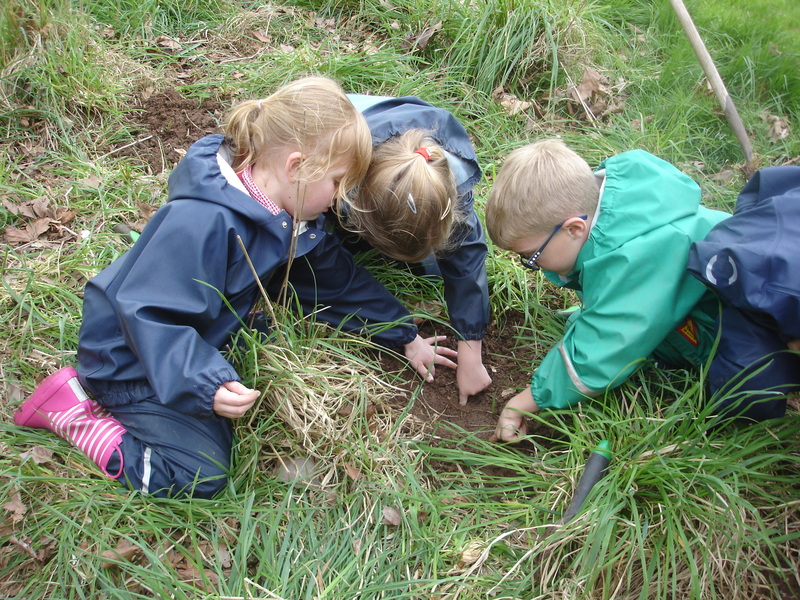 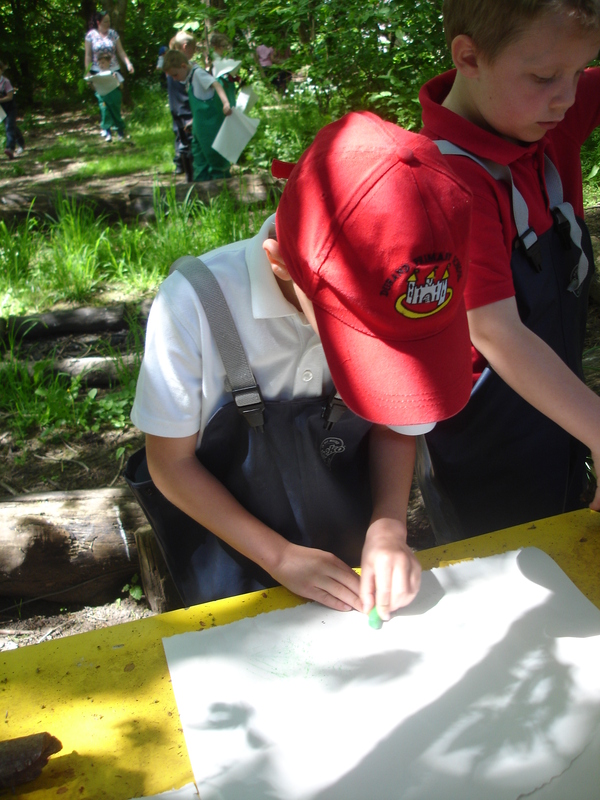 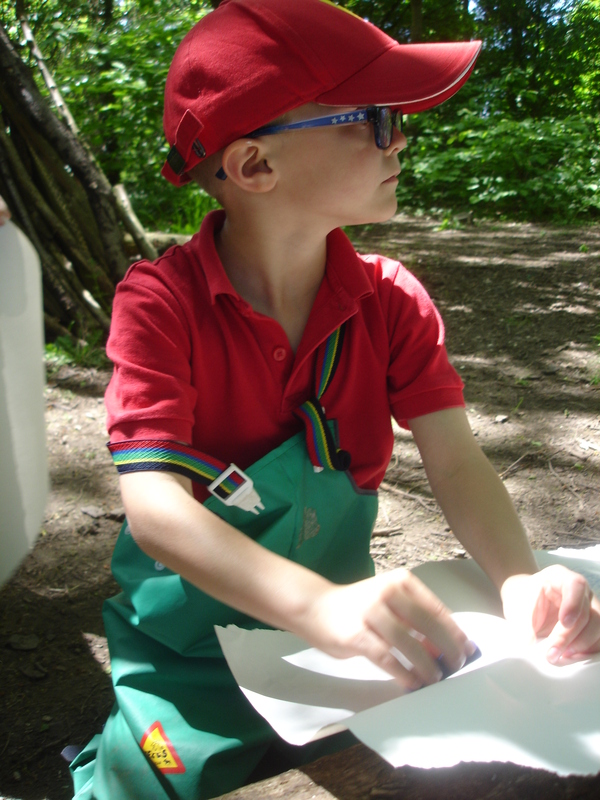 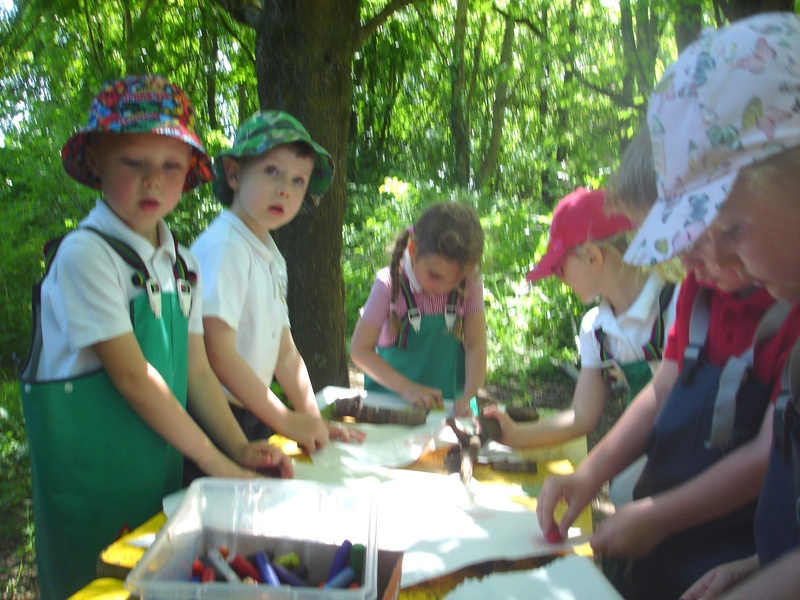 Sunhats on, we ventured to the forest to investigate patterns and create our own clay fossils. 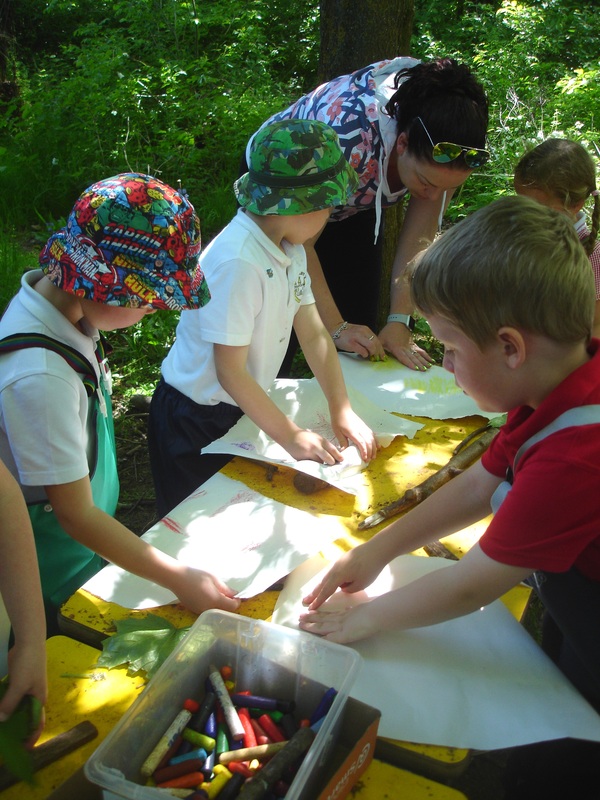 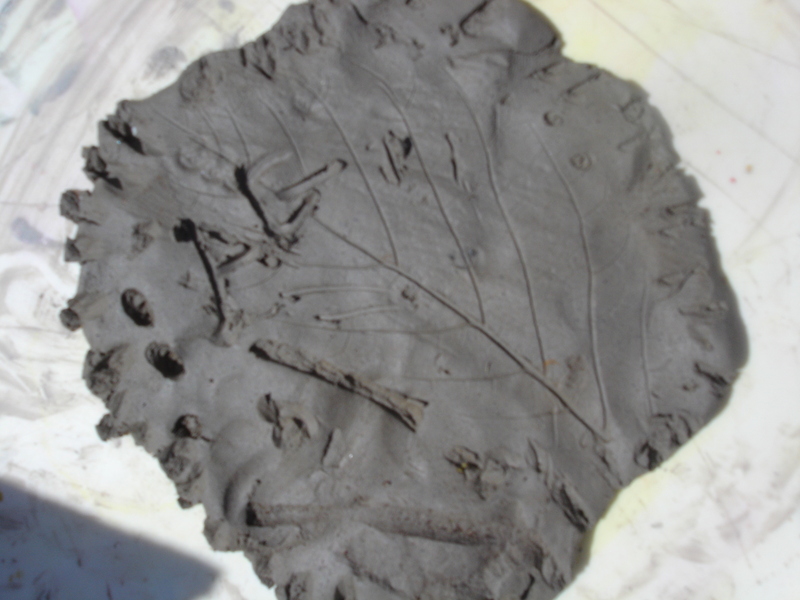 We made bark, leave and other textured rubbings before deciding what would make a good fossil. 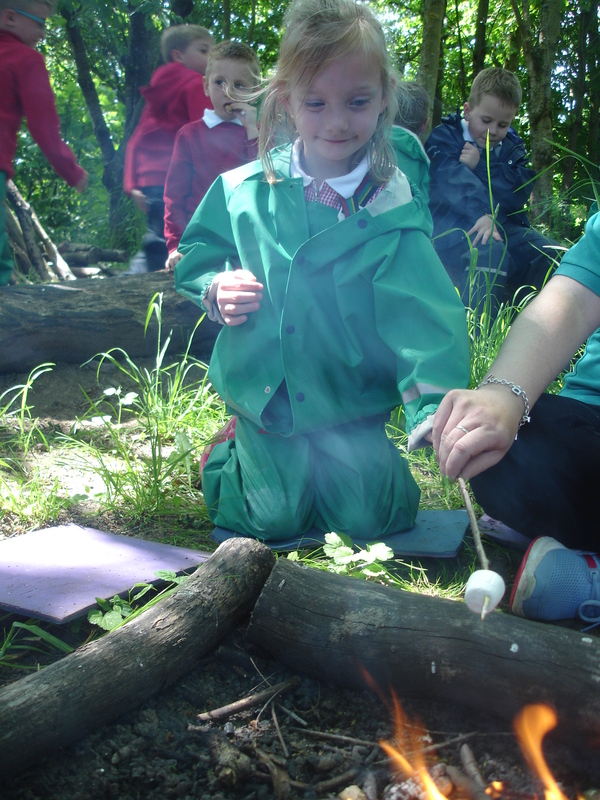 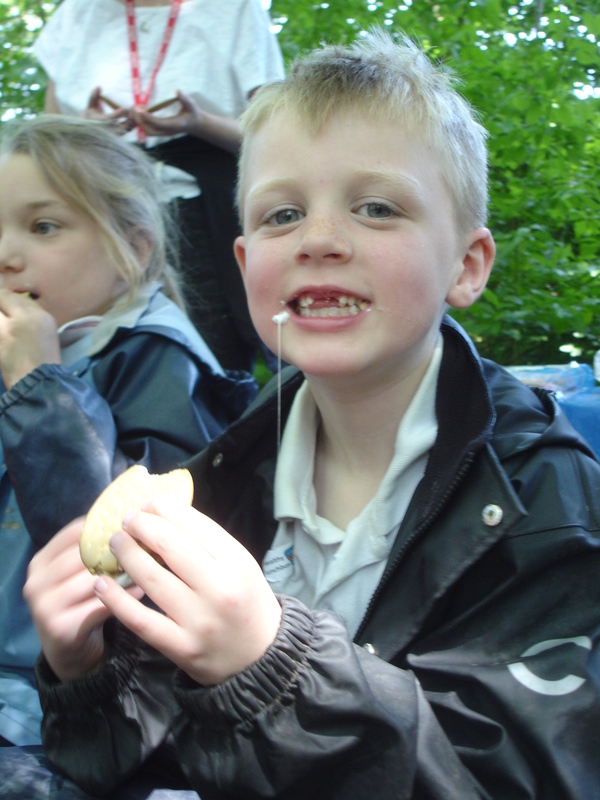 Marshmallows, popcorn and squash to celebrate what we have learned at Forest School this half term.